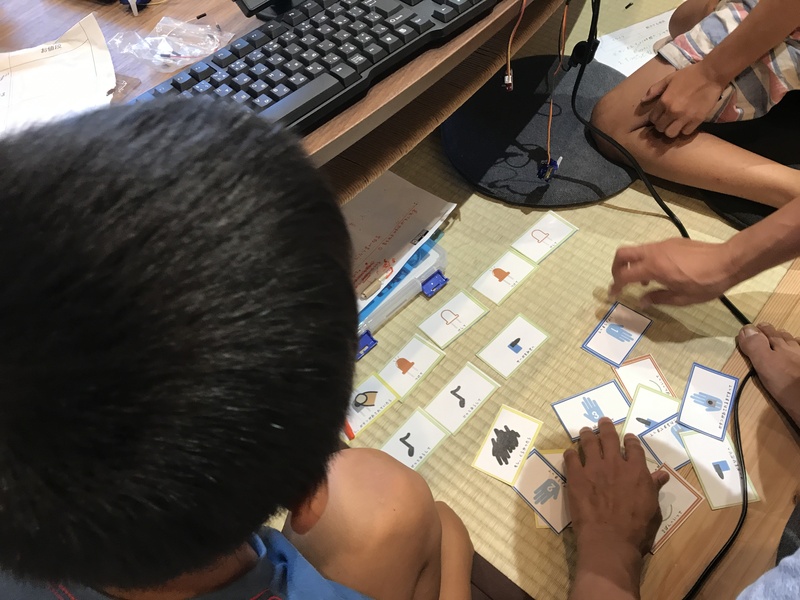 1 'ERP GAME 10 G=100:S=0:P=10:R=50:T=1:E=12 20 CLS:LC0,5:? 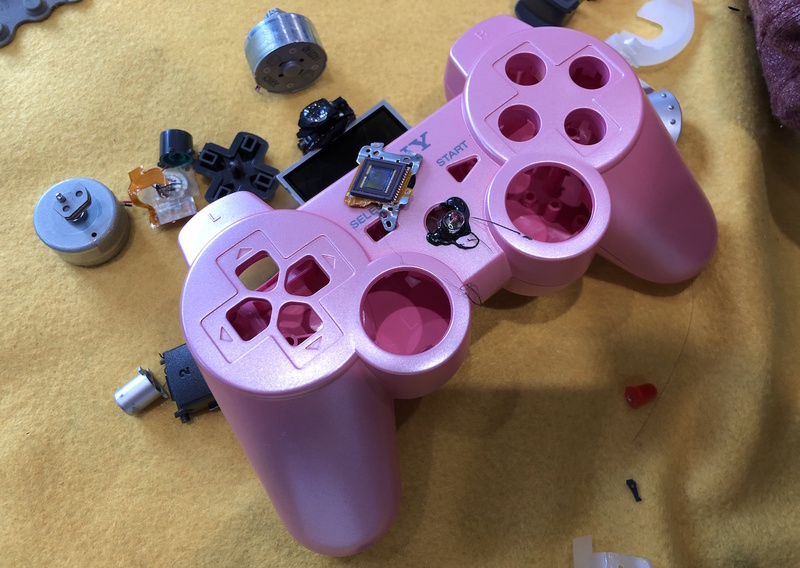 "ERP GAME":?:?"TURN:";T;"/";E:? 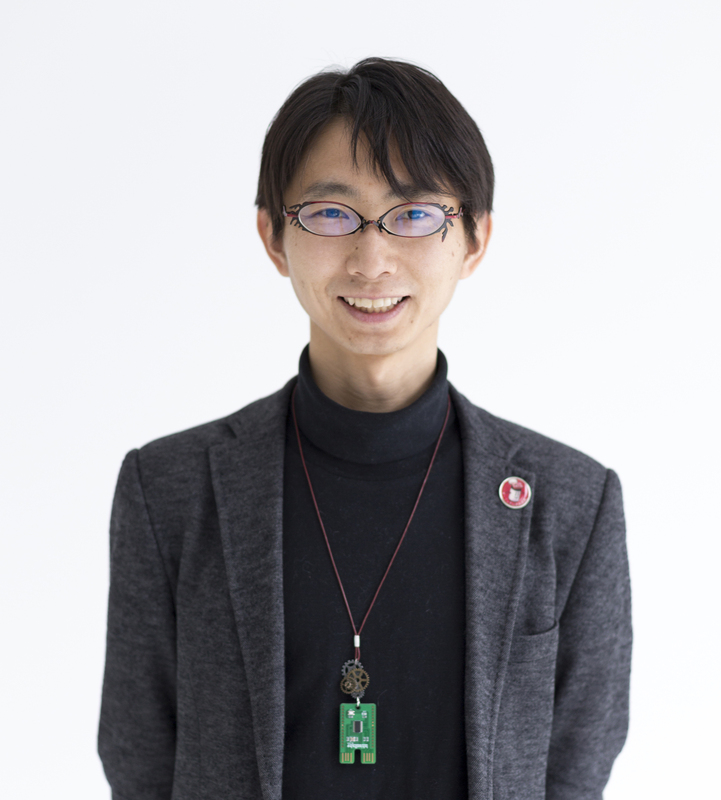 30 ?"NEDAN:";P:?"ZAIKO:";S:?"MONEY:";G:? 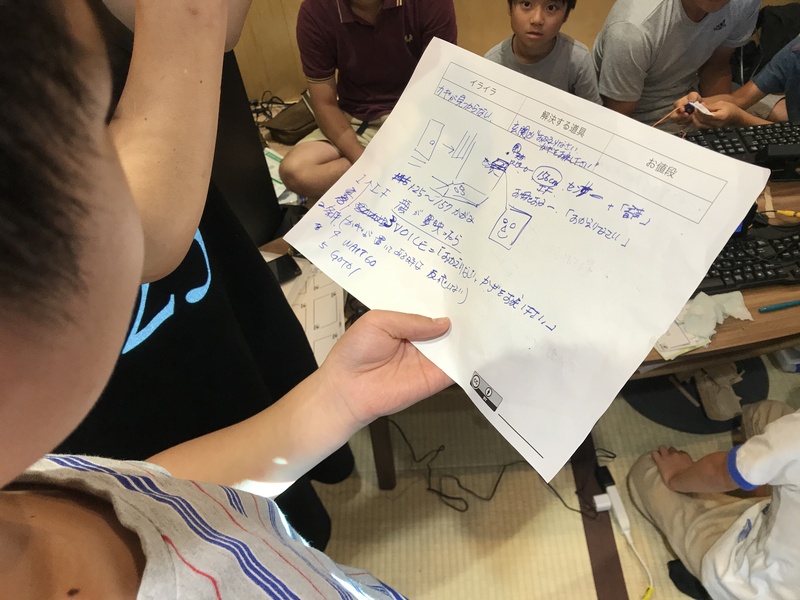 40 ?"1:NEDUKE":?"2:SHIIRE":?"3:SENDEN":? 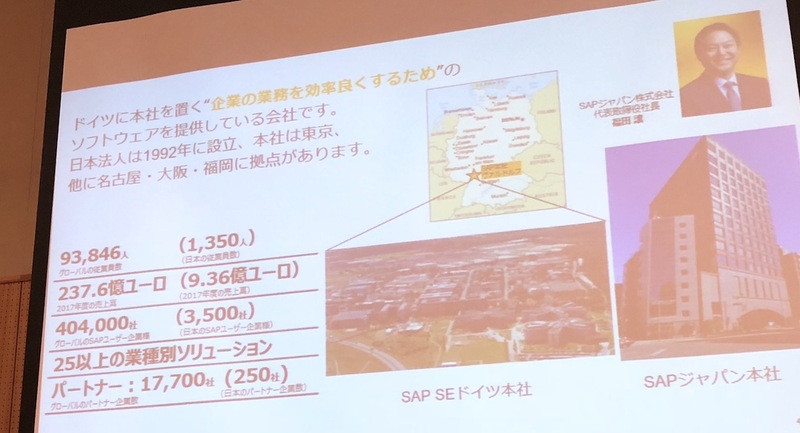 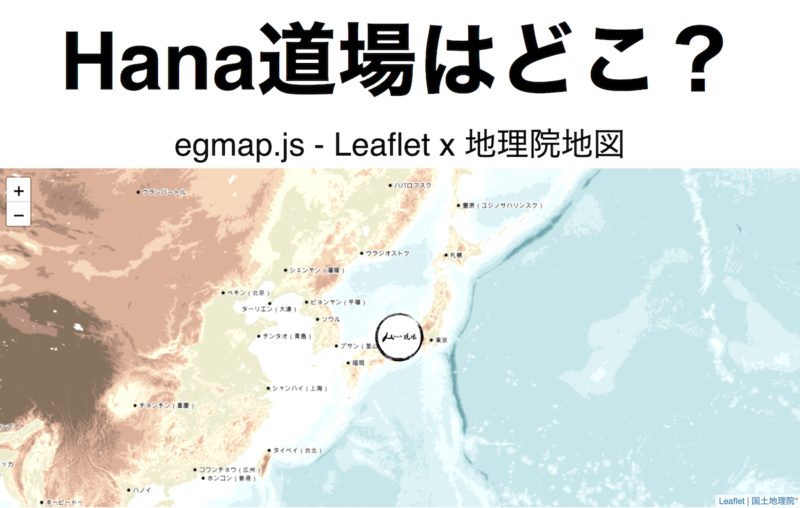 "0:NEXT":INPUT N 50 IF N=1 INPUT"P YEN:",P:IF P>100 P=100 60 IF N=2 INPUT"GENKA 10YEN N:",M:IF M*10<=G G=G-M*10:S=S+M 70 IF N=3 INPUT"KOKOKU YEN:",M:IF M<=G R=R+M:G=G-M 80 IF N!=0 GOTO 20 90 A=(15-P)*R/50+RND(R/10) 100 IF A<0 A=0 ELSEIF A>S A=S 110 ? 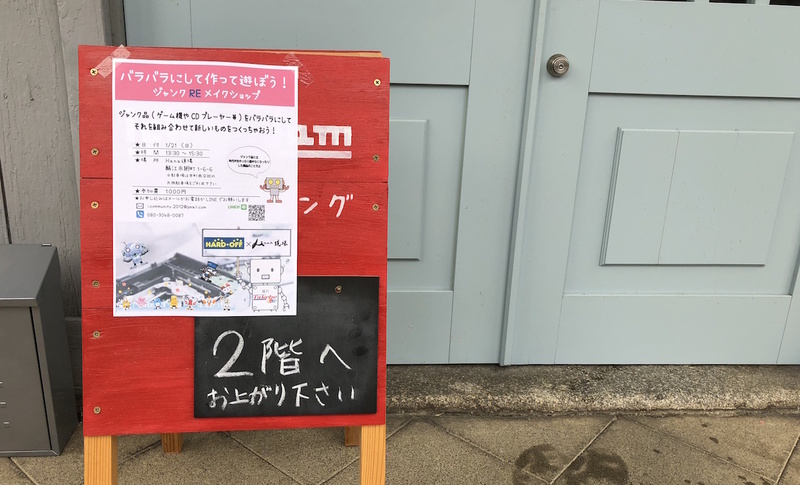 "SALES ";A:WAIT30:? 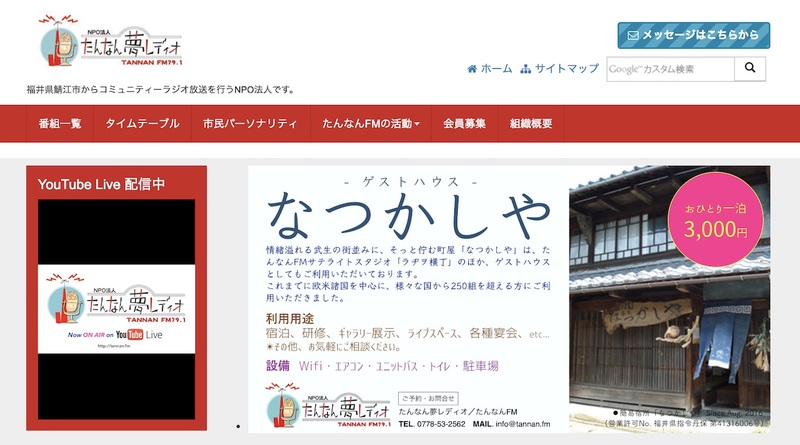 "URIAGE ";A*P;"YEN":WAIT60 120 G=G+A*P:S=S-A 130 IF T<E T=T+1:GOTO 20 140 ?:? 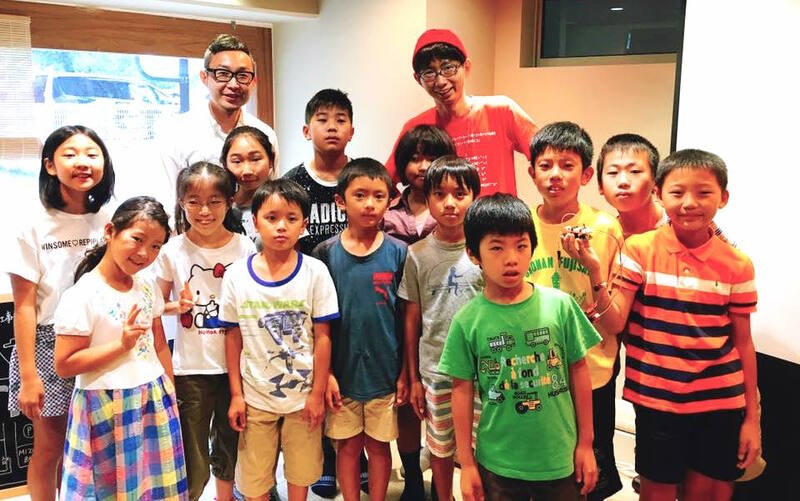 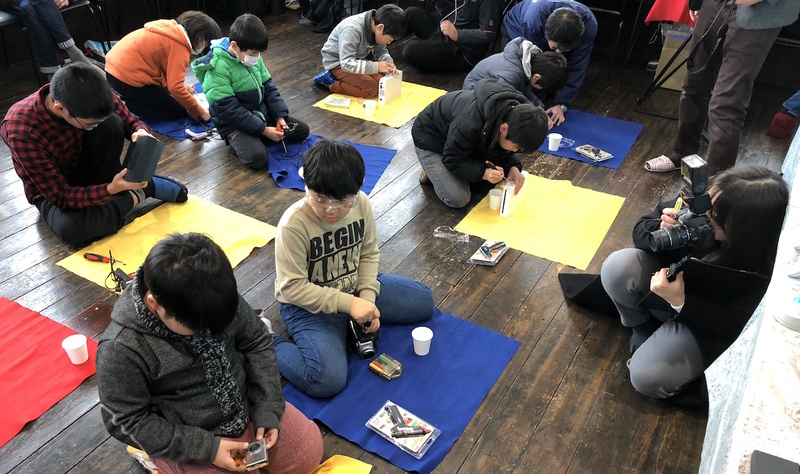 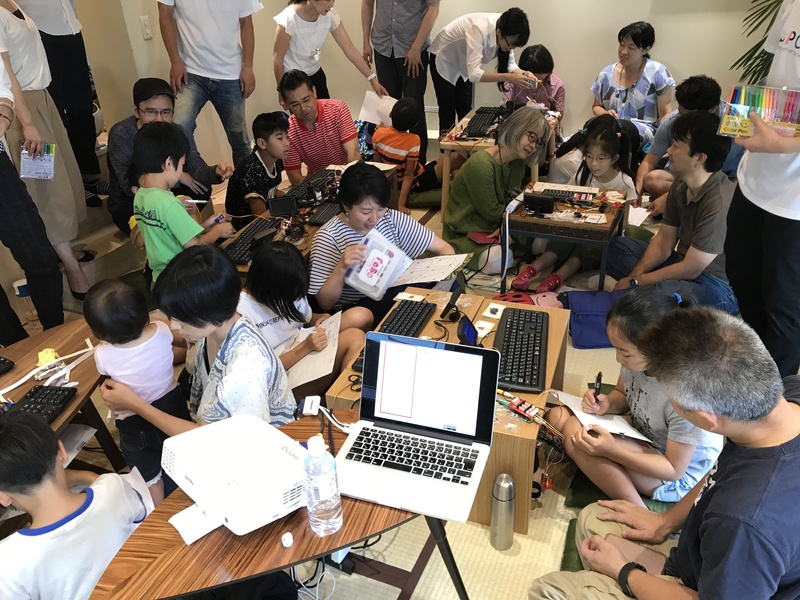 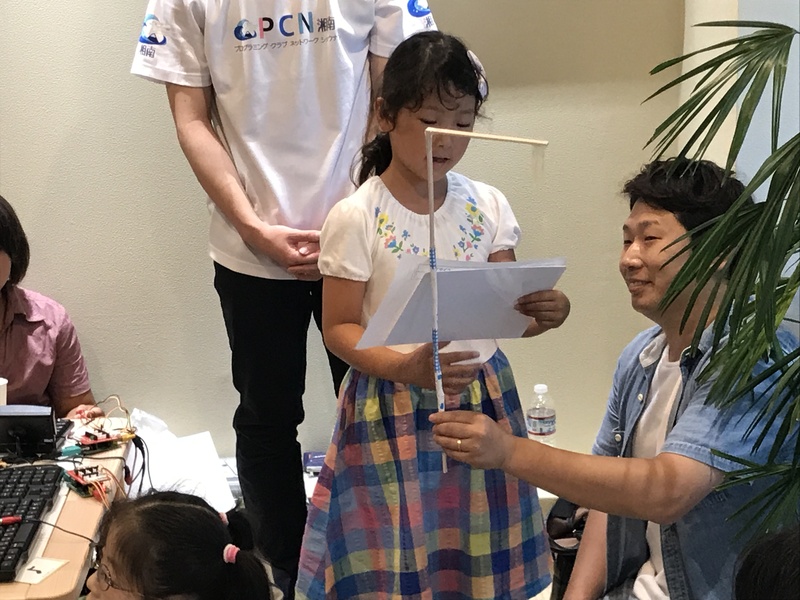 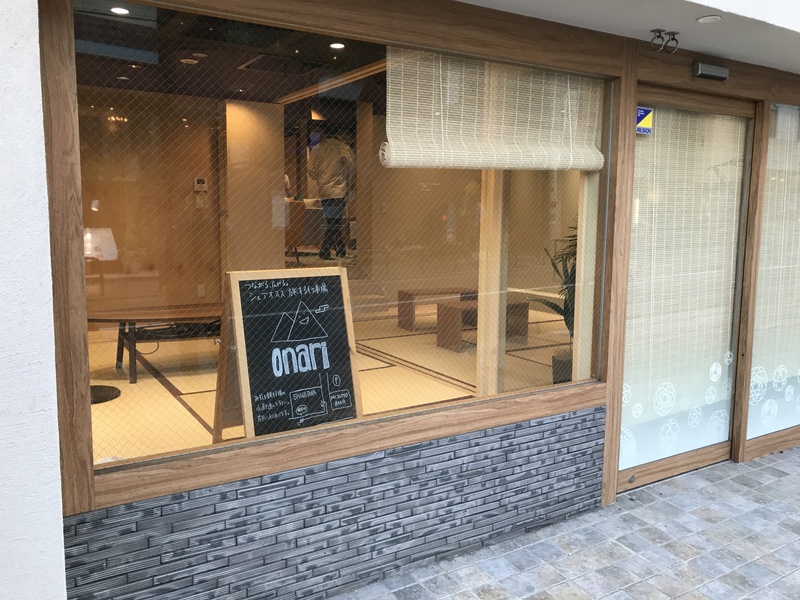 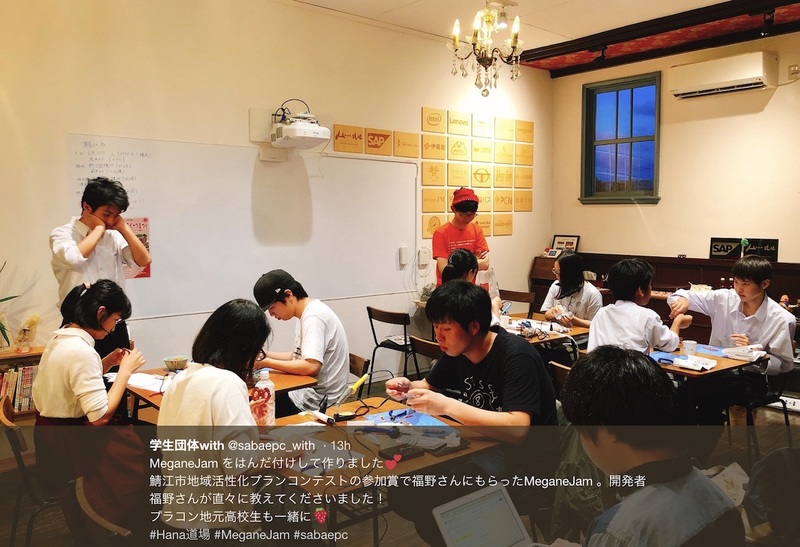 "RIEKI ";G-100;"YEN"
Graphics Recording Seminar for Kids in Hana Dojo! 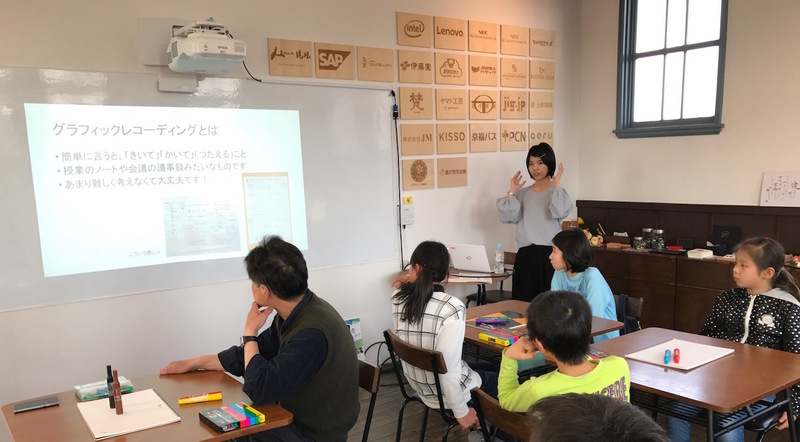 Today's teacher is Ms. Tanoue (田上有紗さん). 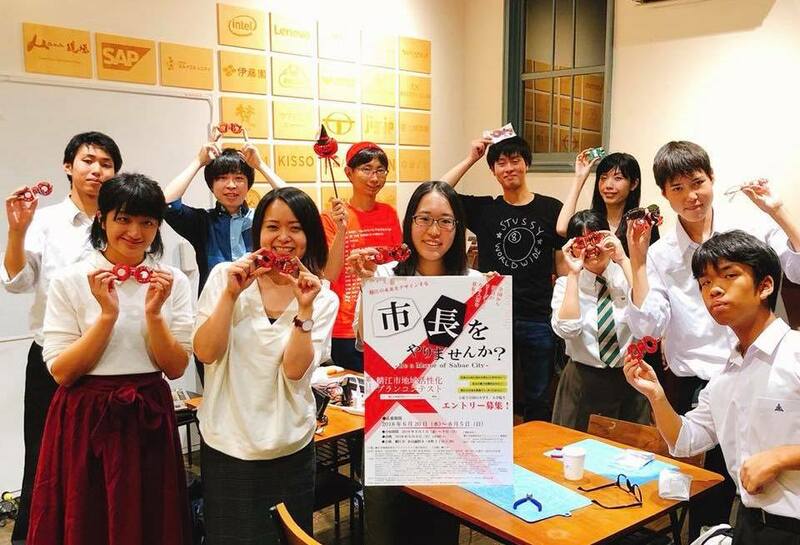 She graphic-recorded on the event of Kyoto Open Data. 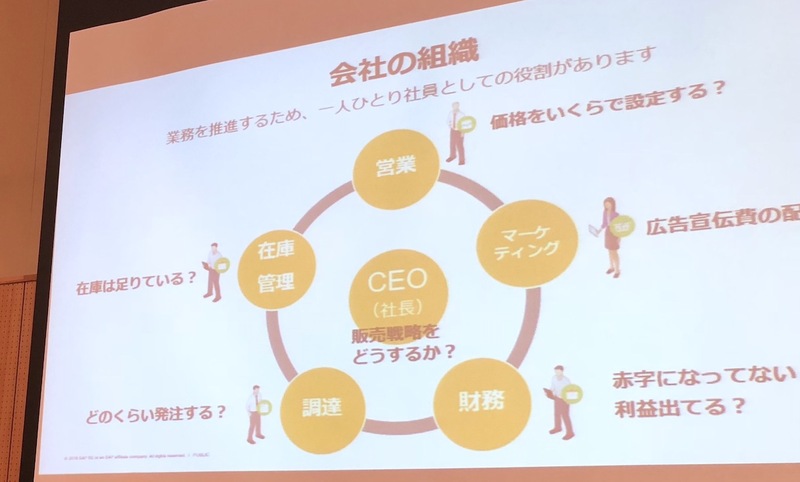 "Graphic Recording (グラフィックレコーディング、グラレコ@ja)" is a tool to report with drawn images in real time. 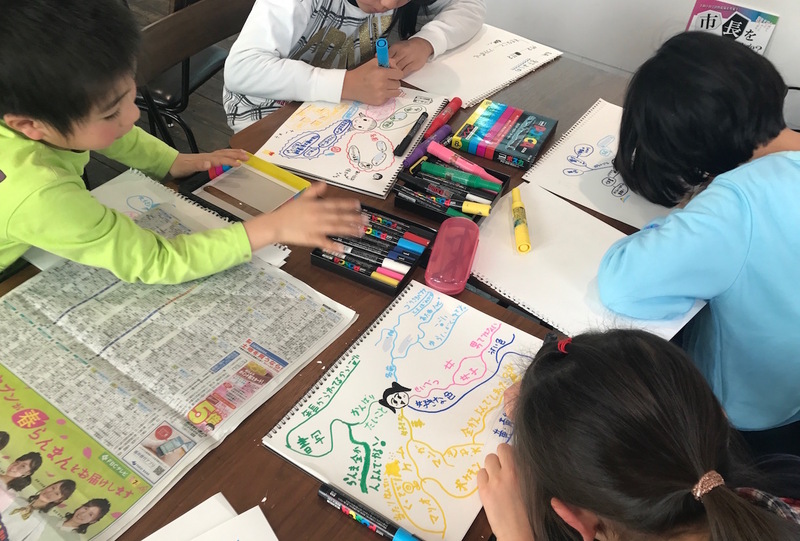 Kids ware trying to draw themselves and present each other! 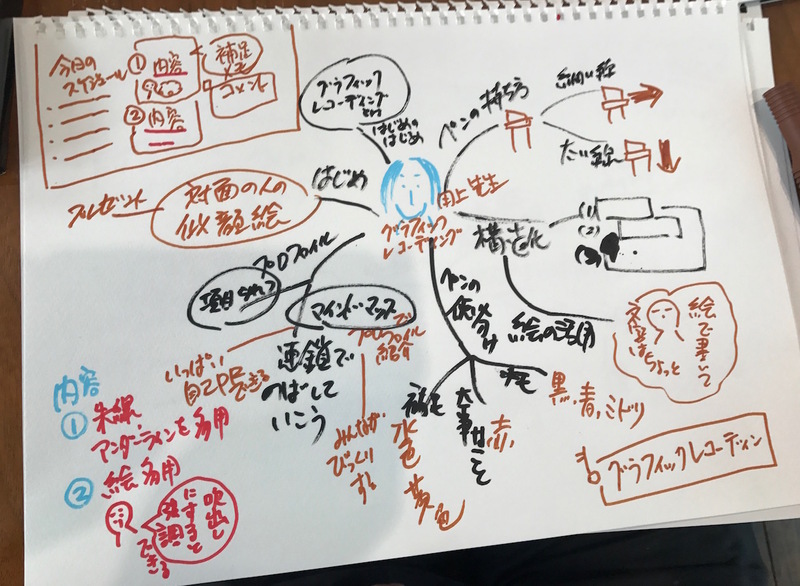 Programming teacher Mr. Ashida drew this lecture. 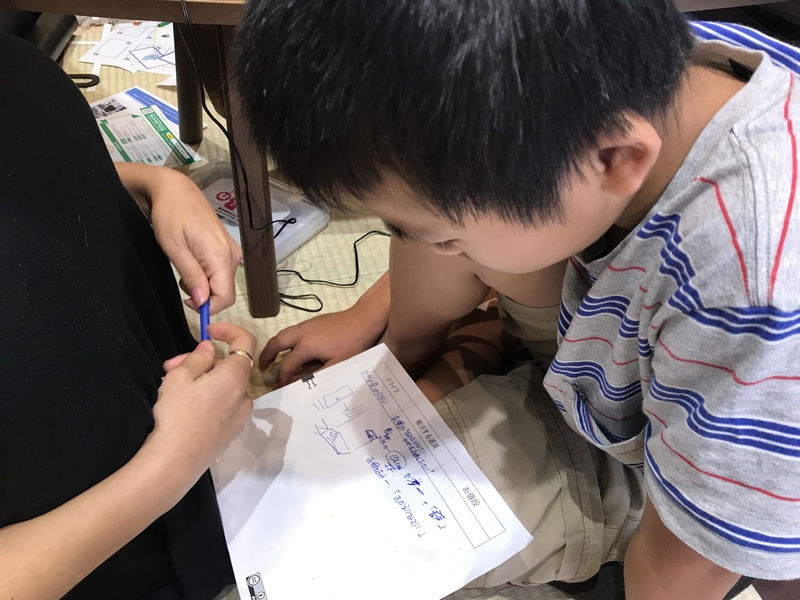 We got a little but strong technic to draw pictures to communicate. 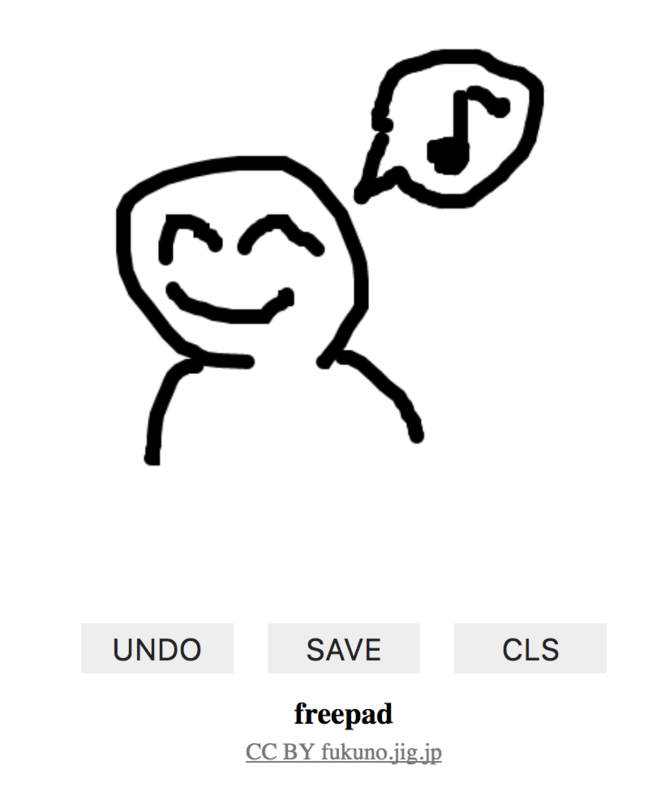 I updated an app to draw graffiti tool "freepad". 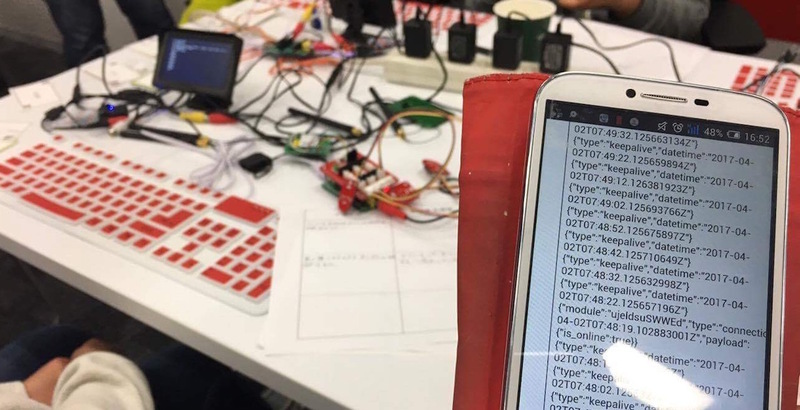 You can undo on your smartphone or PC. 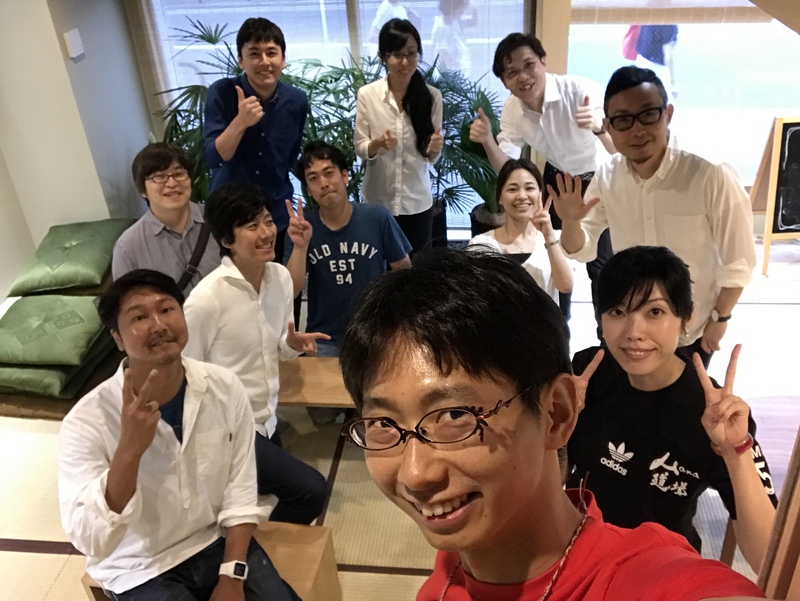 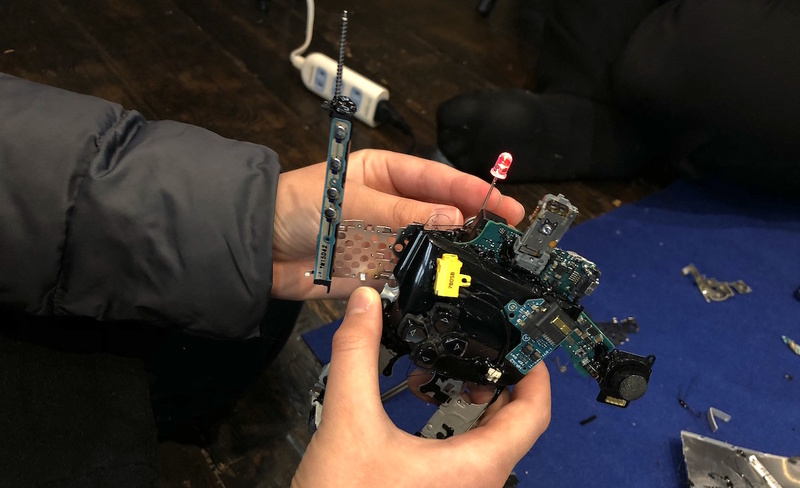 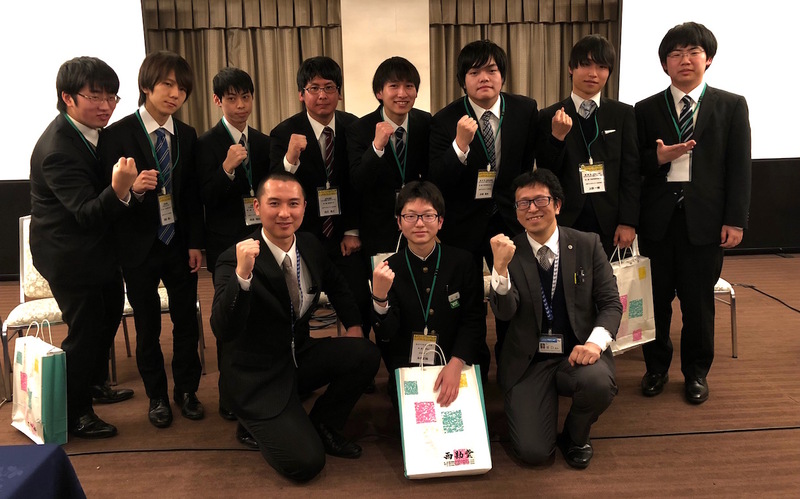 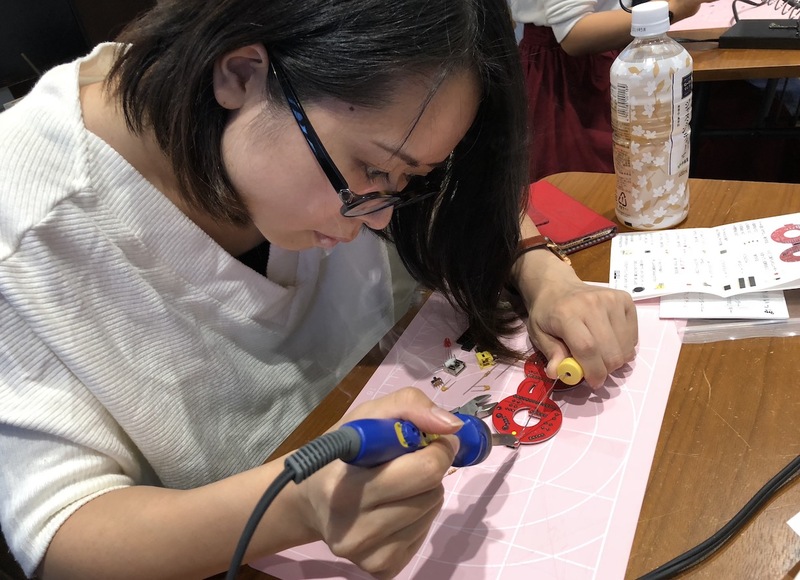 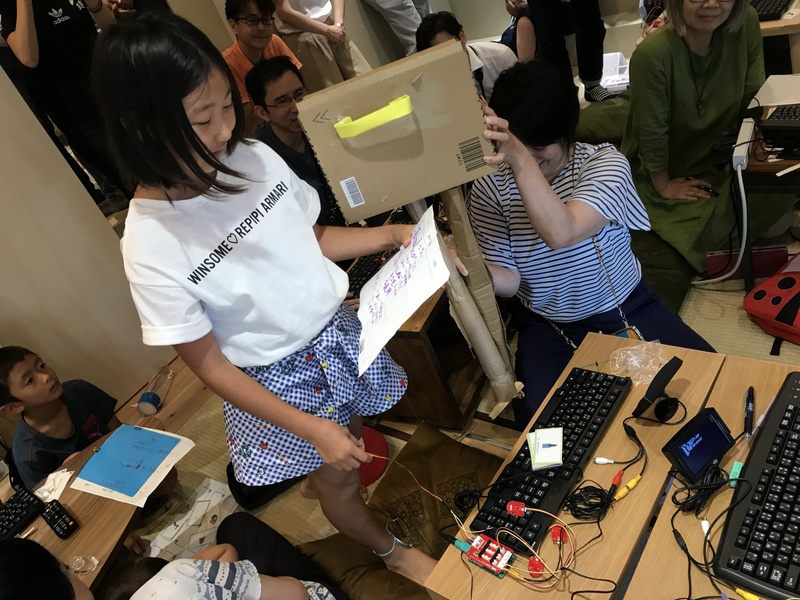 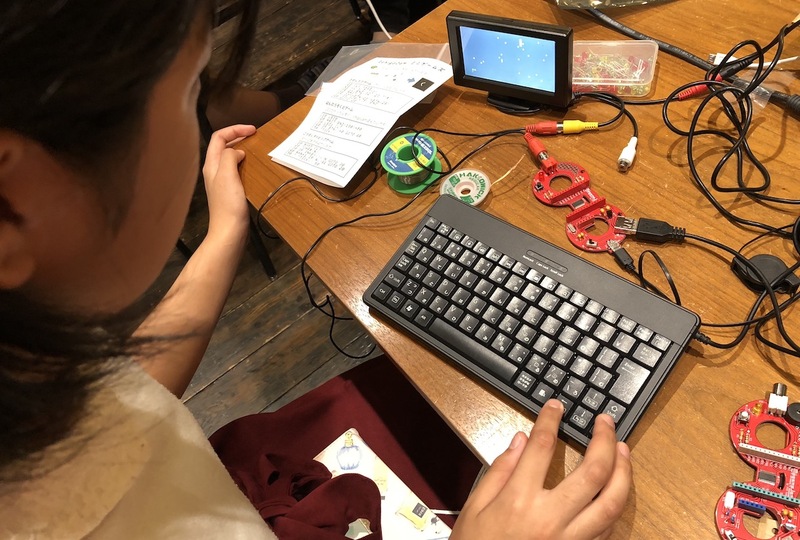 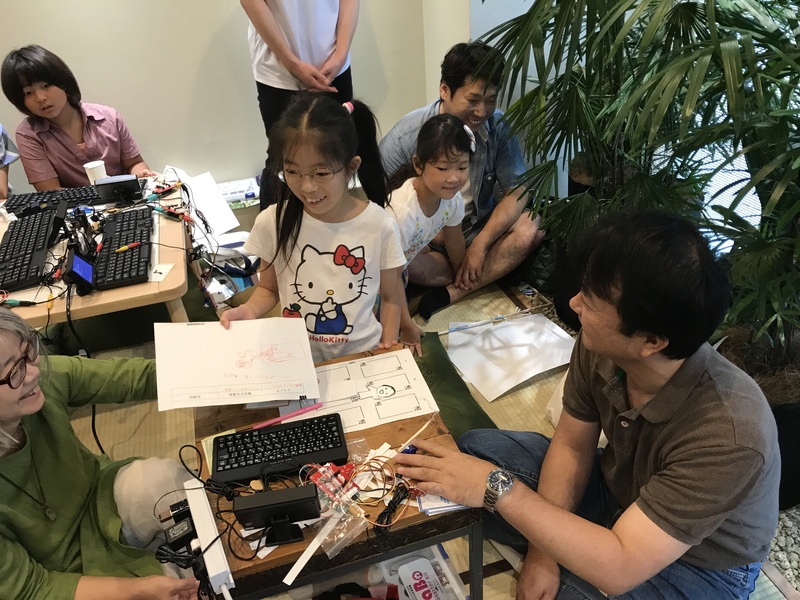 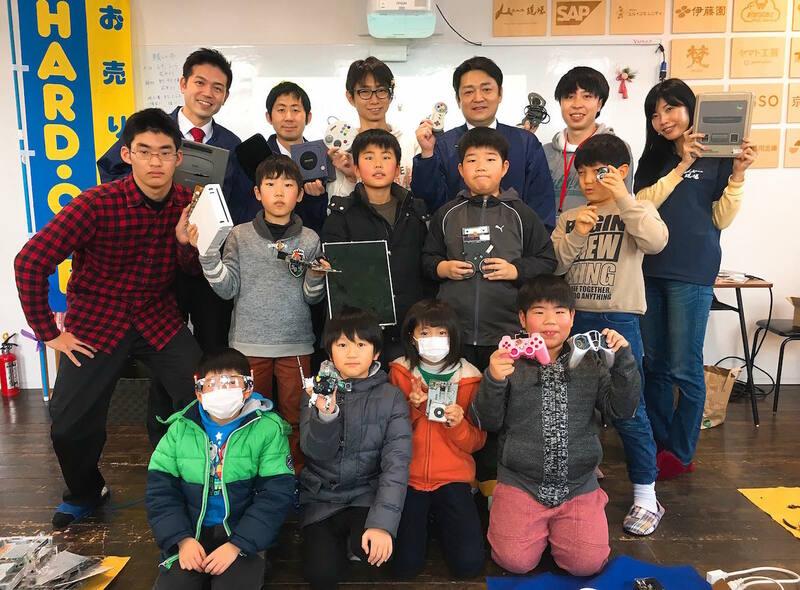 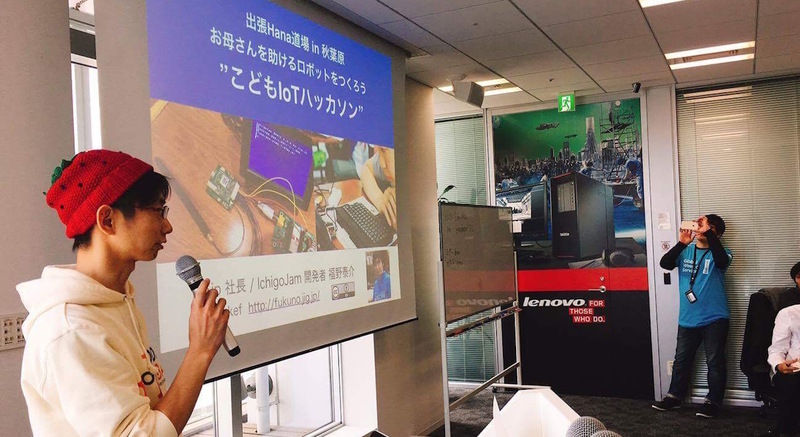 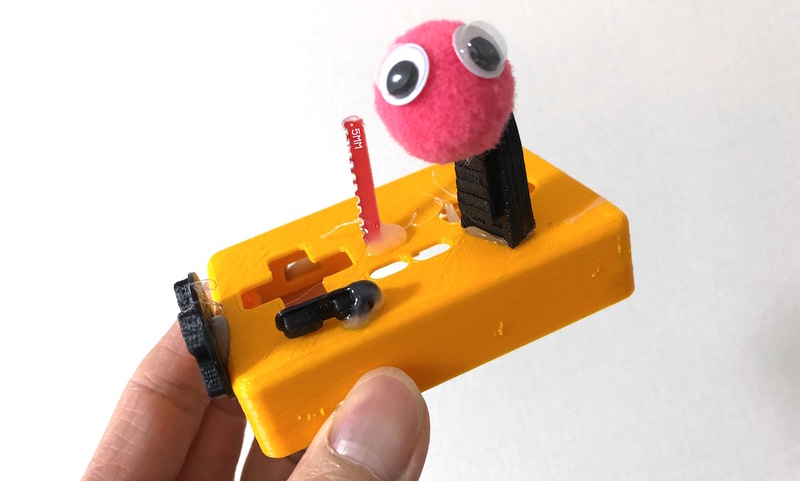 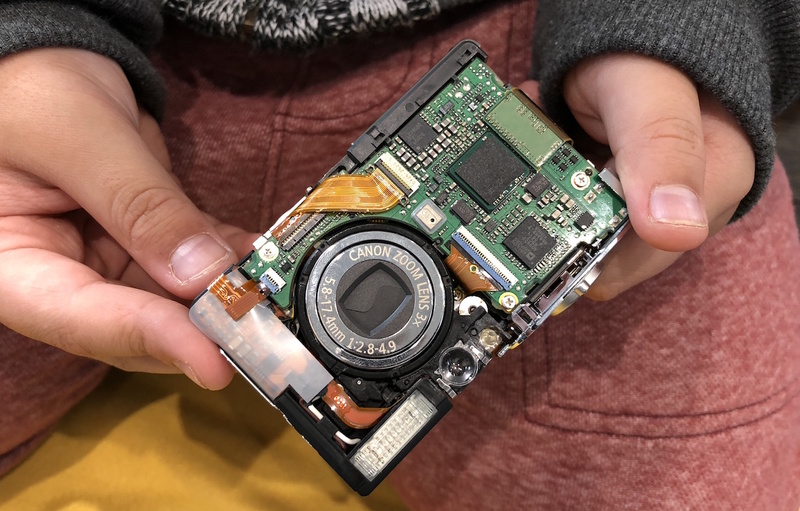 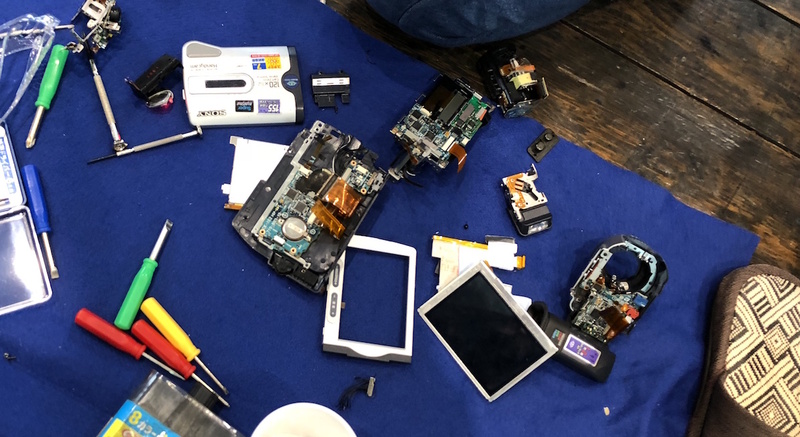 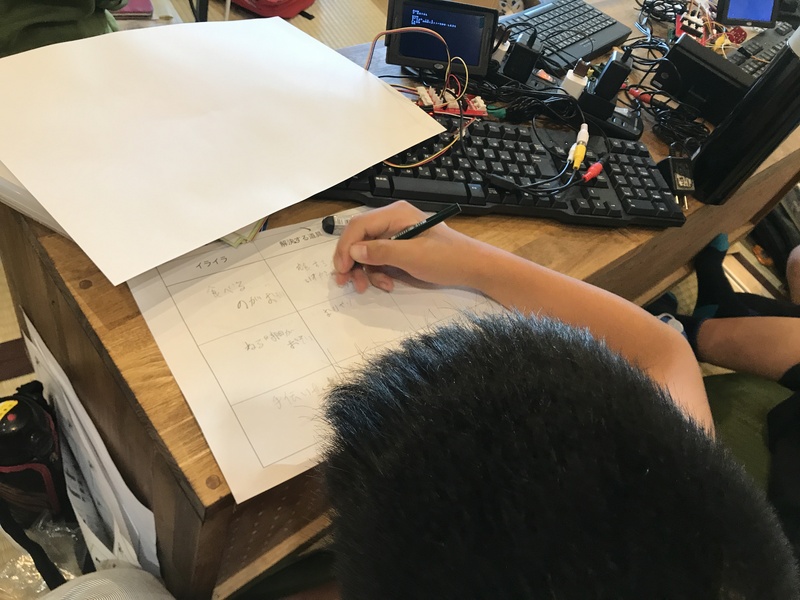 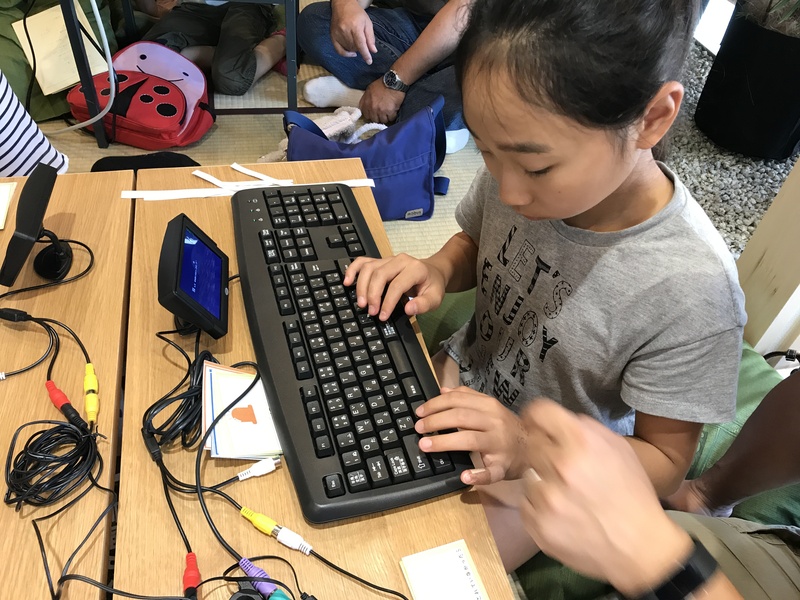 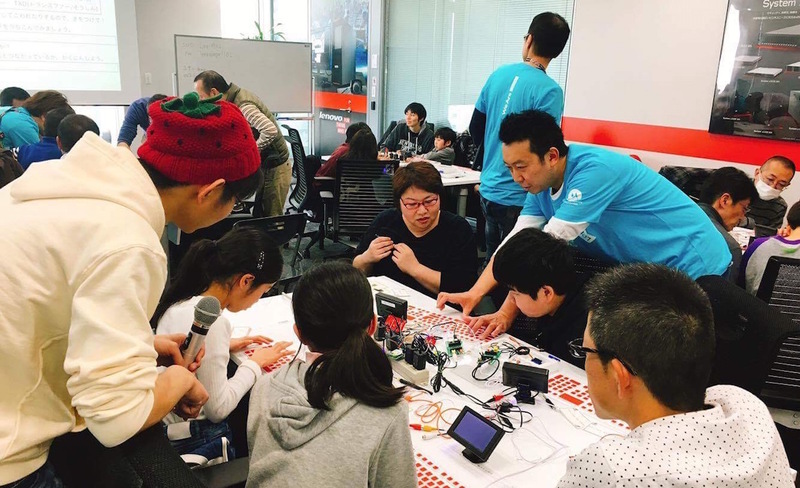 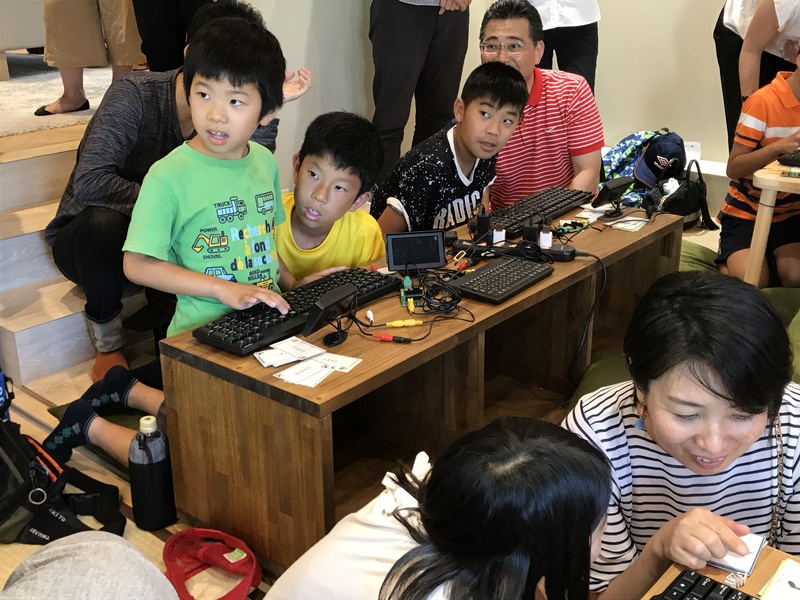 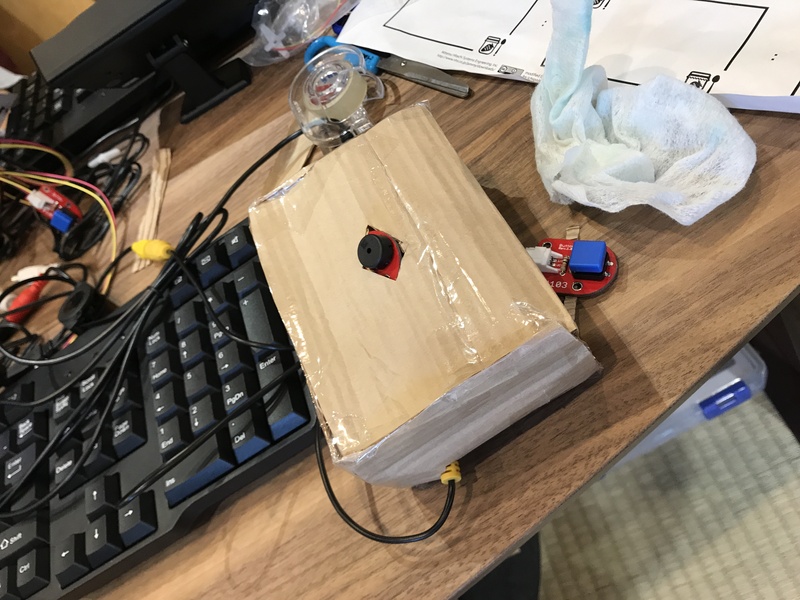 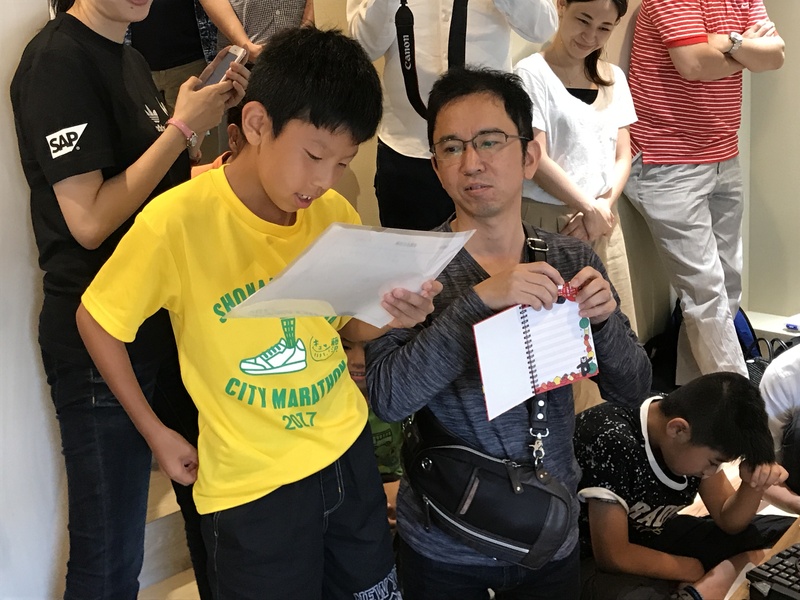 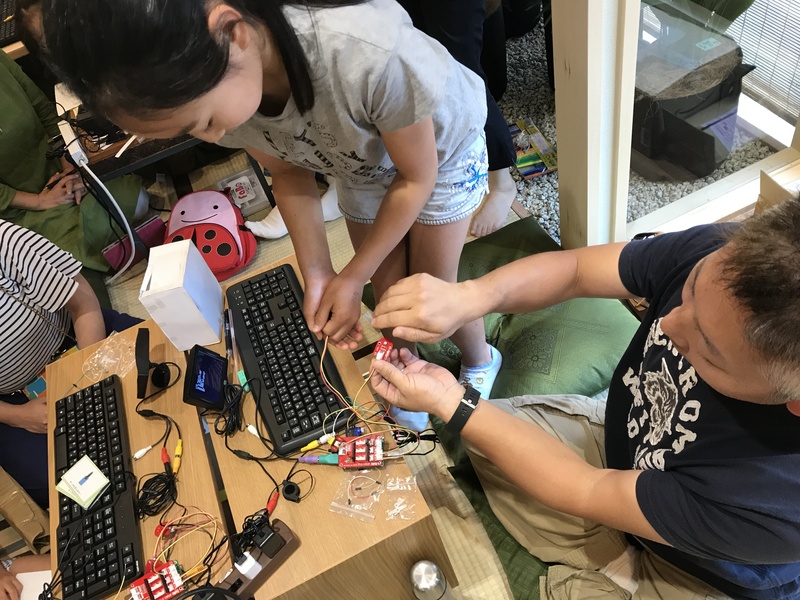 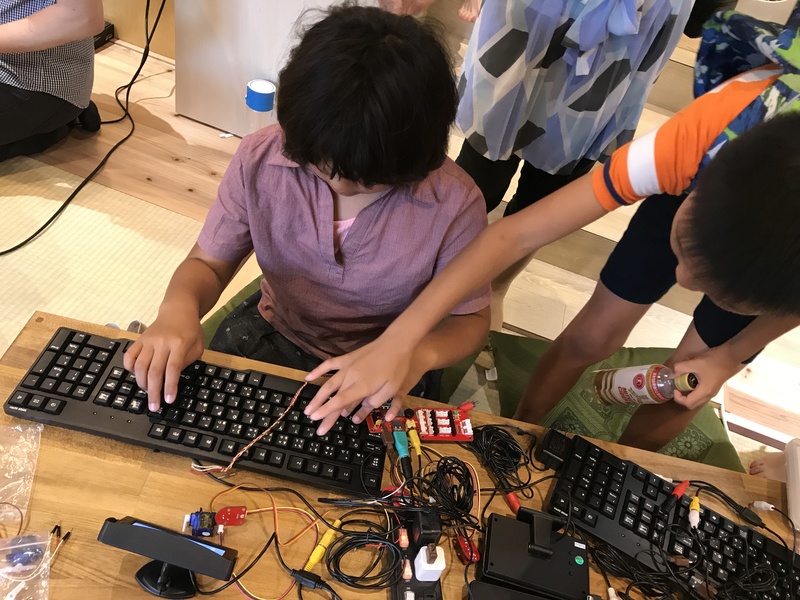 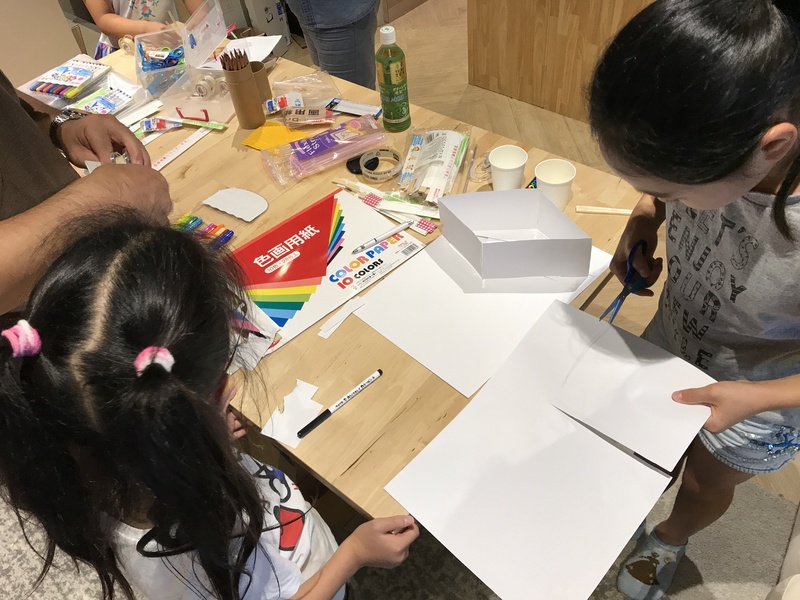 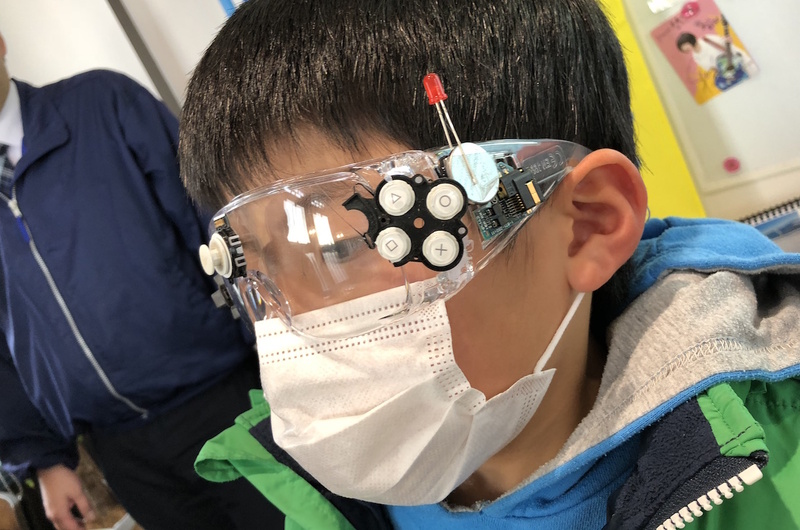 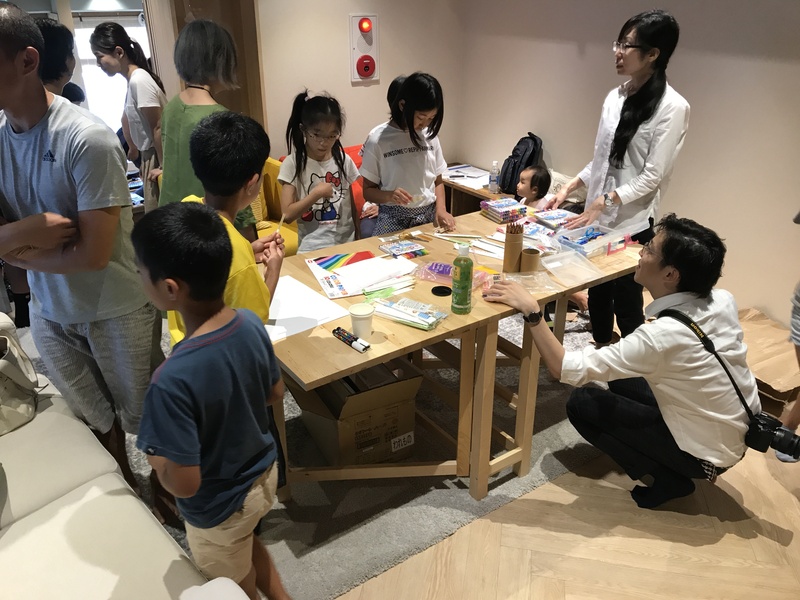 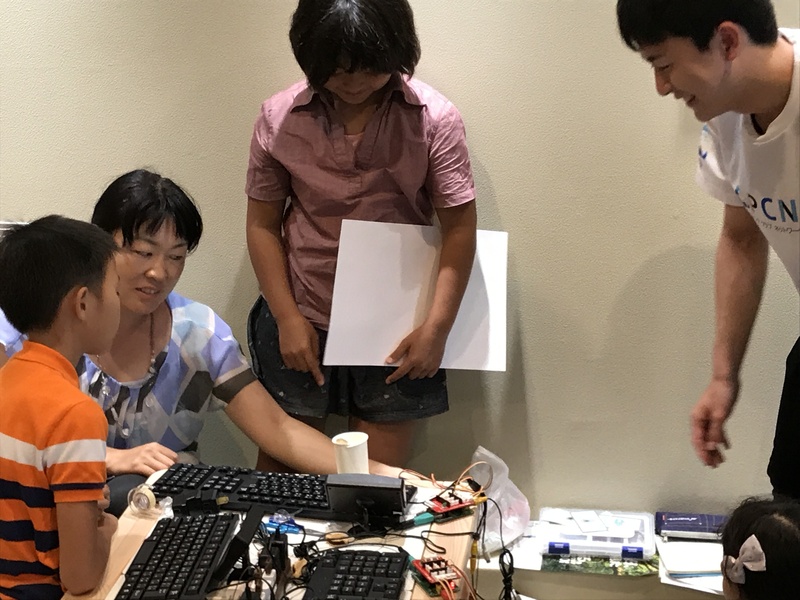 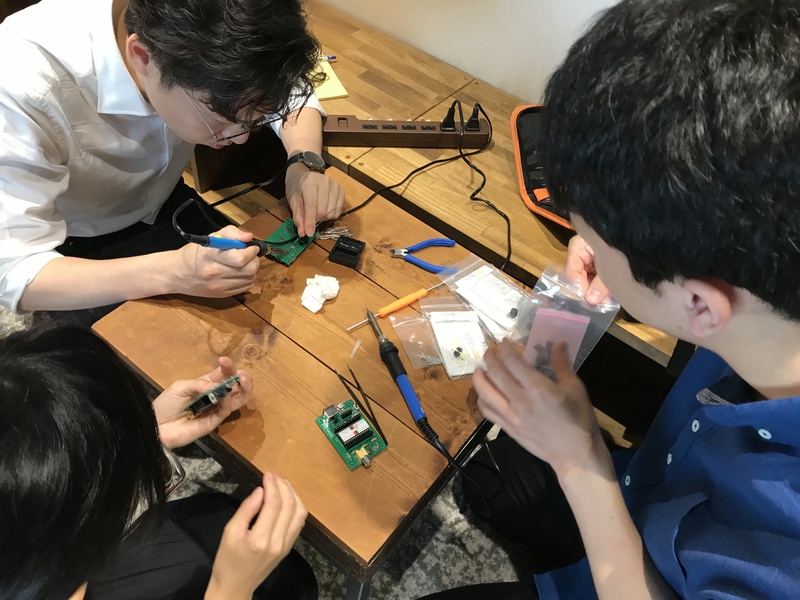 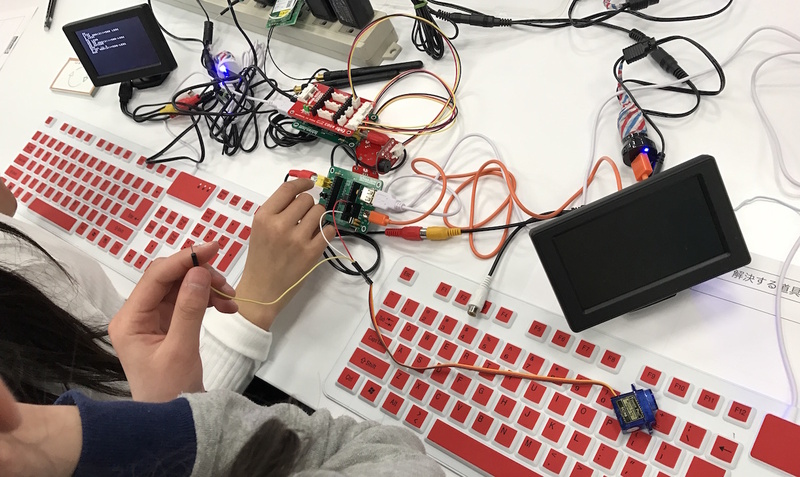 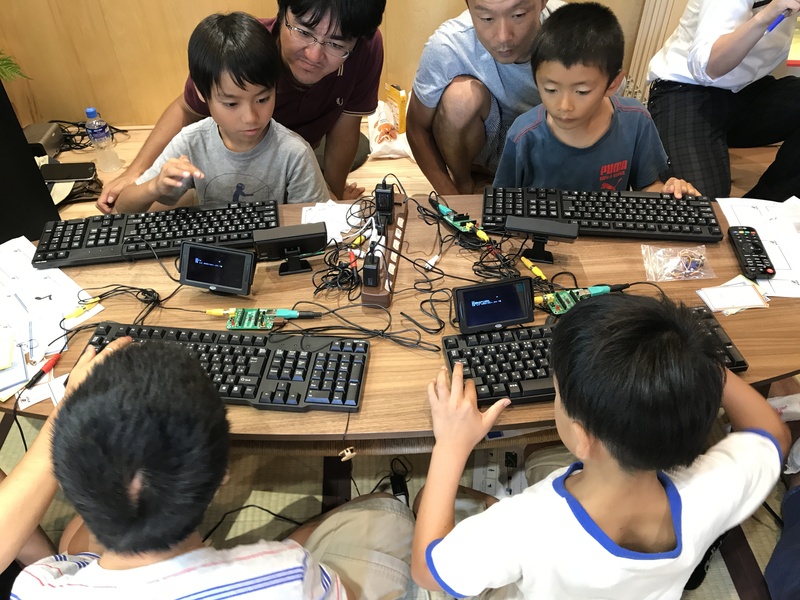 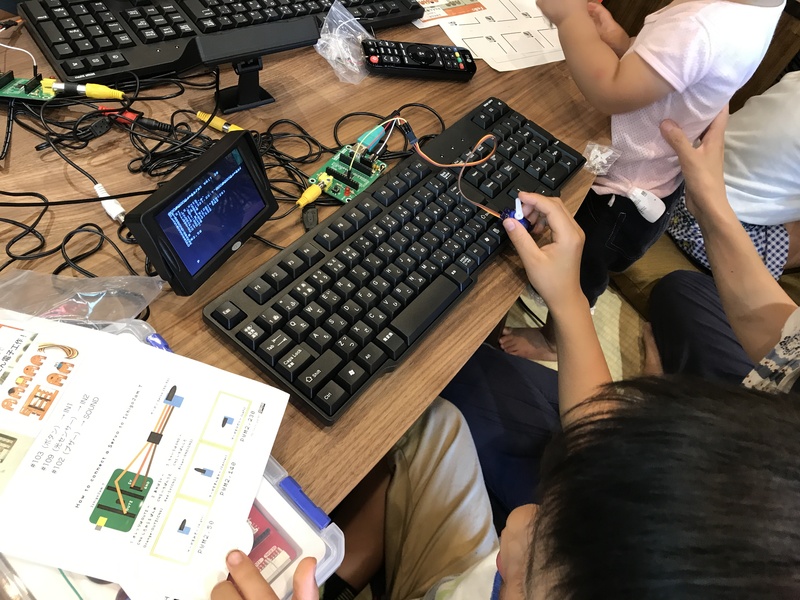 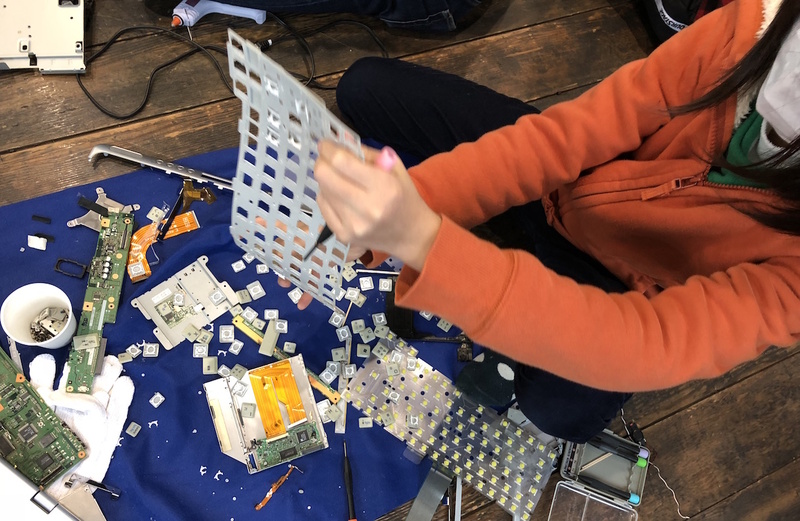 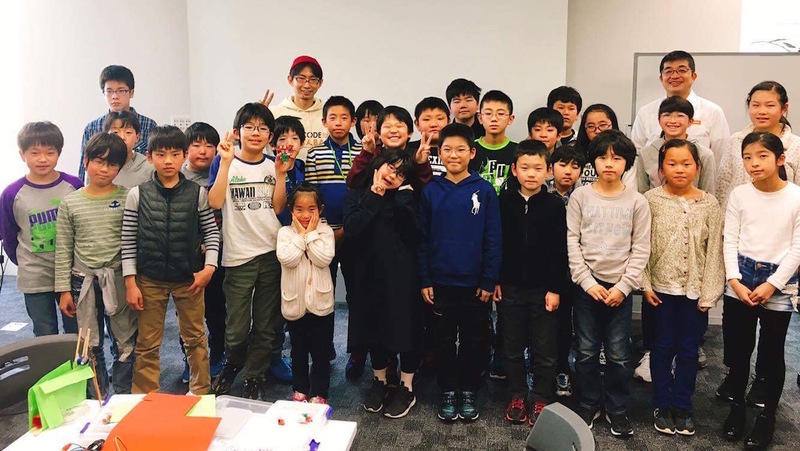 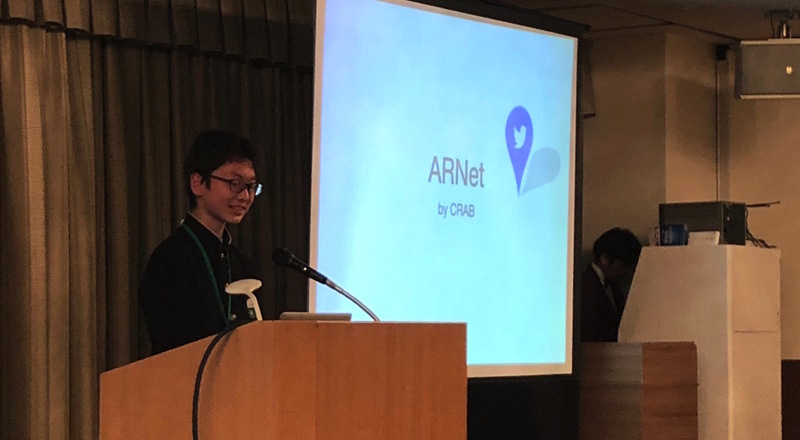 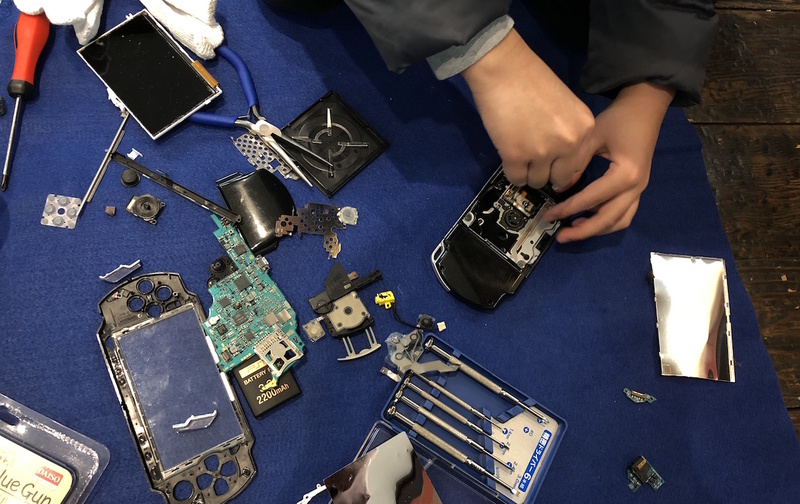 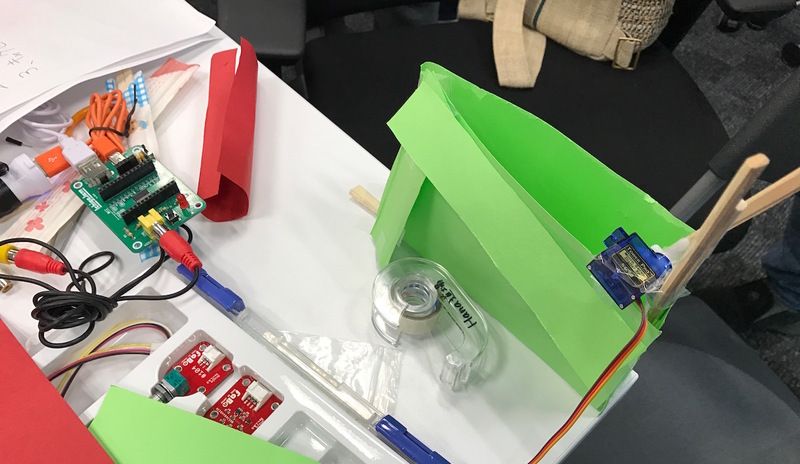 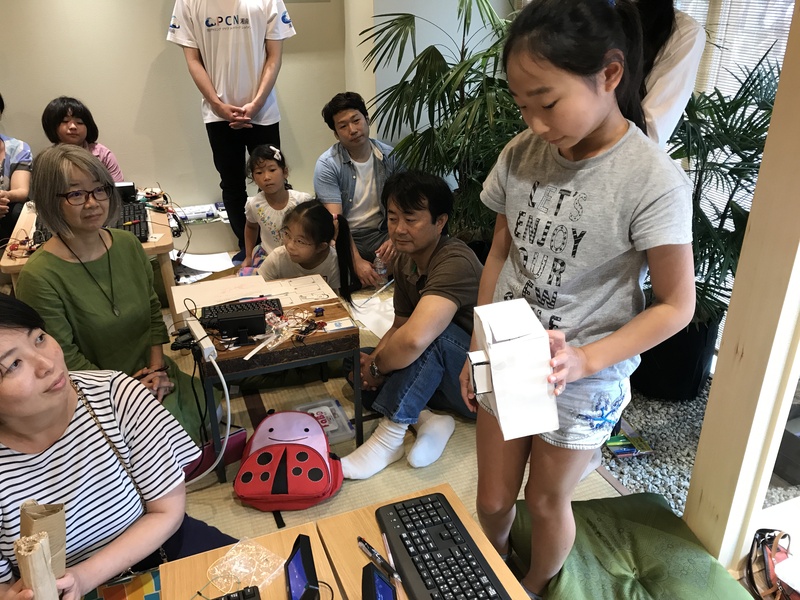 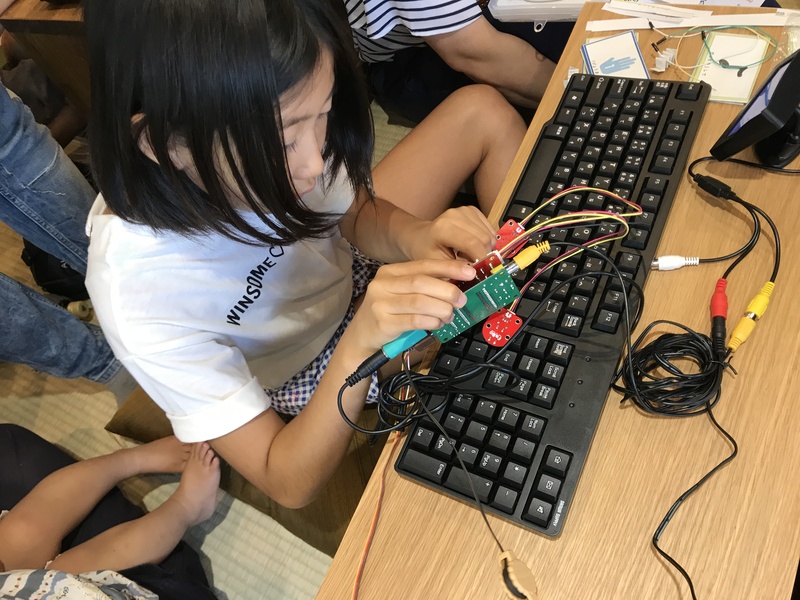 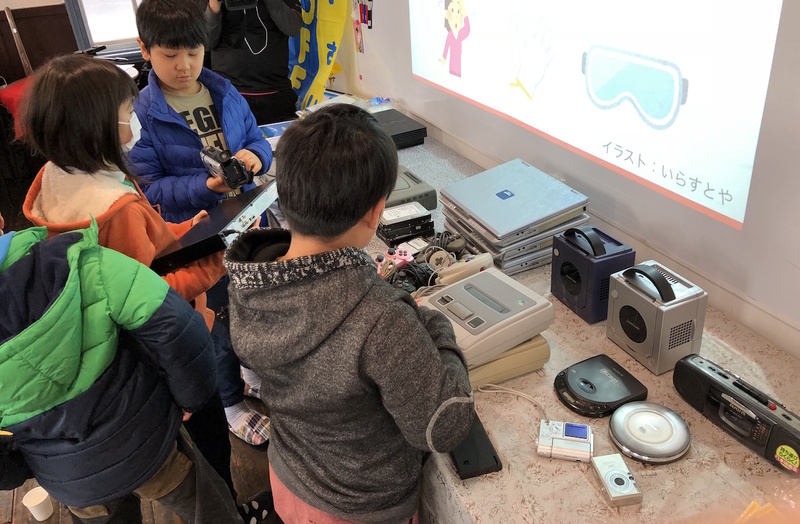 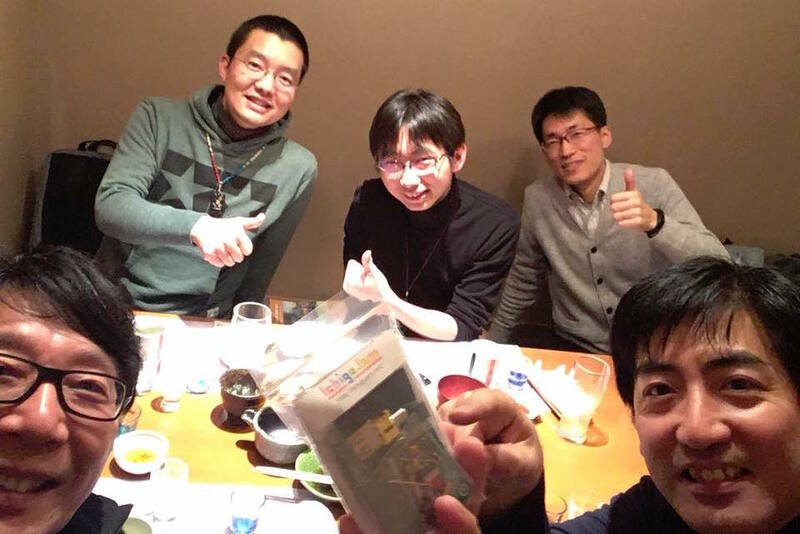 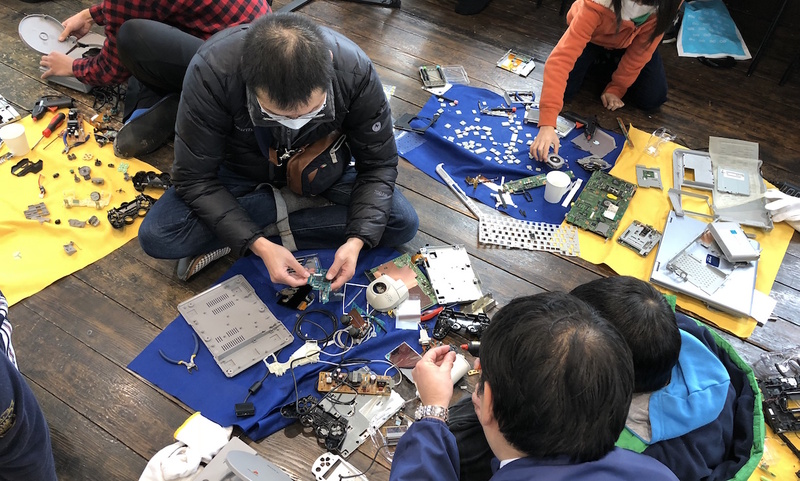 Kids IoT Hackathon (こどもIoTハッカソン@ja) #5 in Akihabara Lenovo Japan! 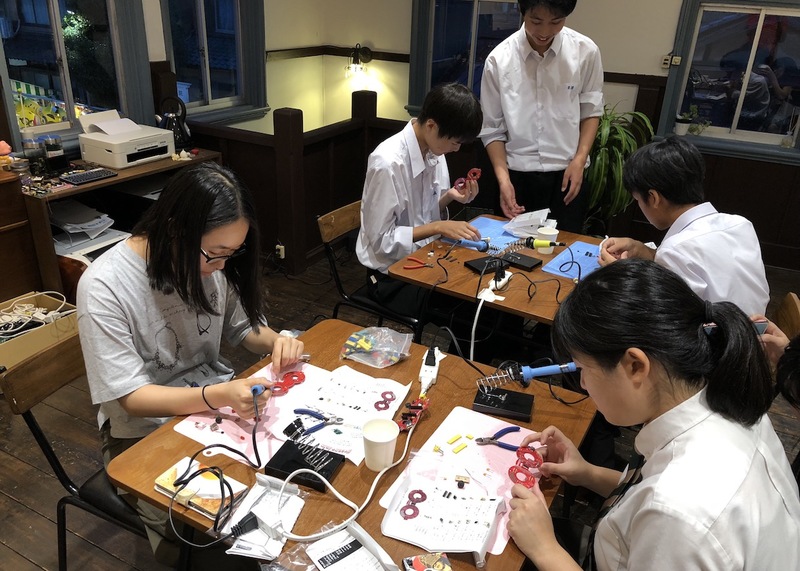 33 kids made original devices for their parent! 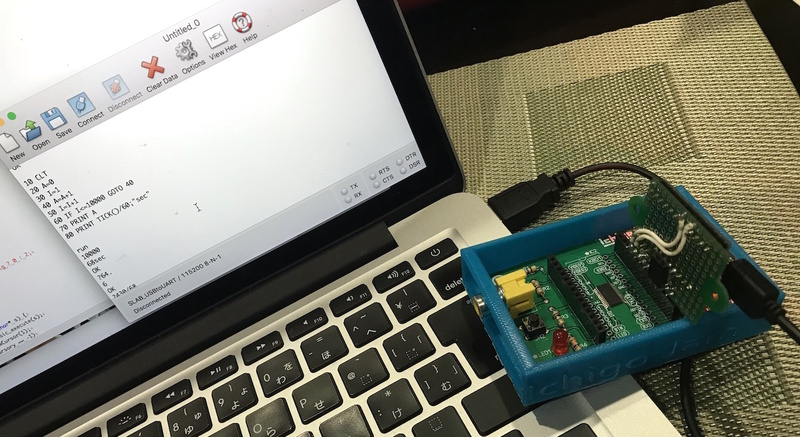 Learn programming to get the porwer to create! 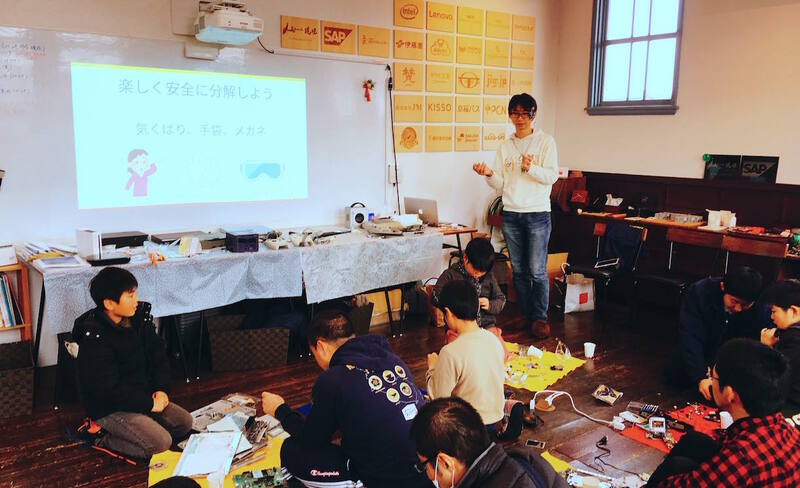 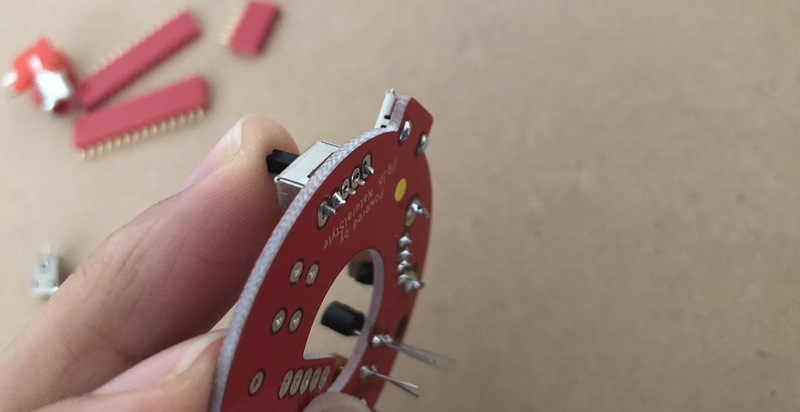 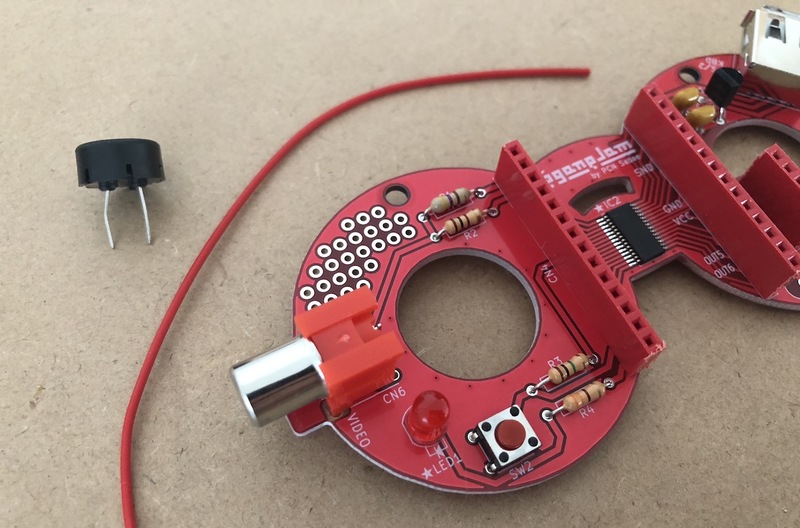 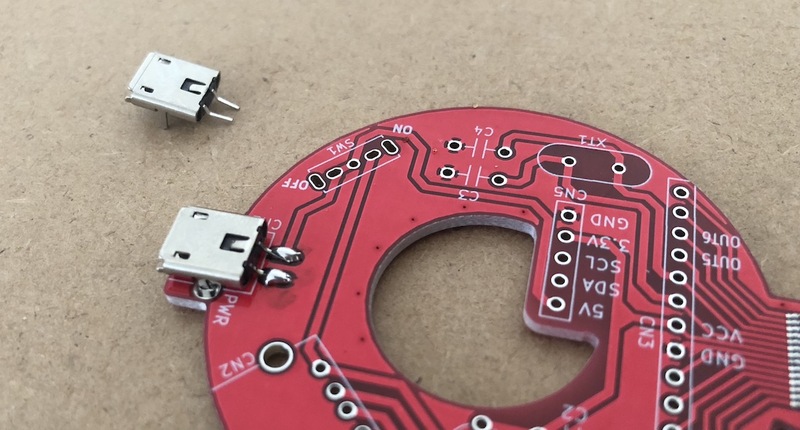 Learn electronics making also. 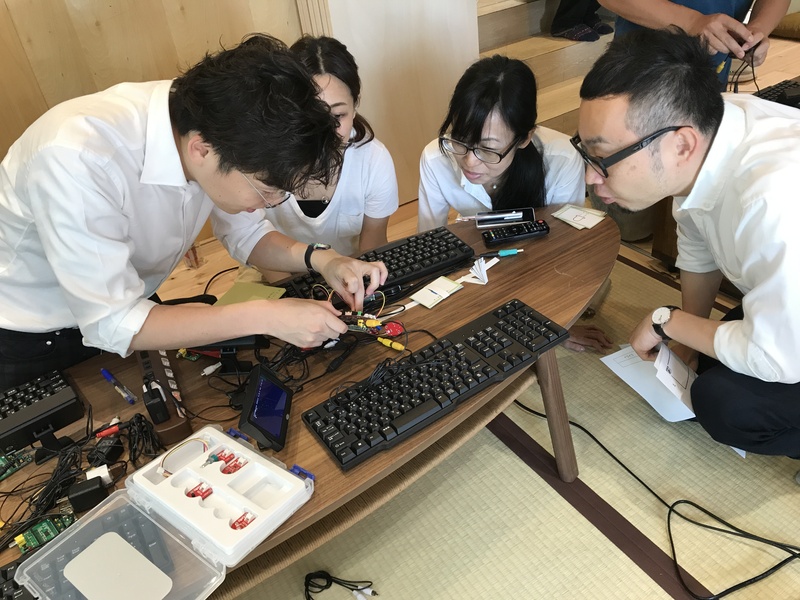 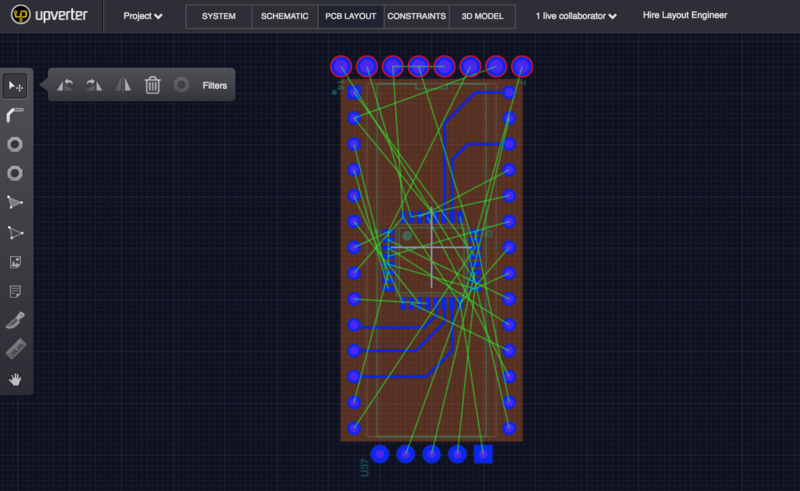 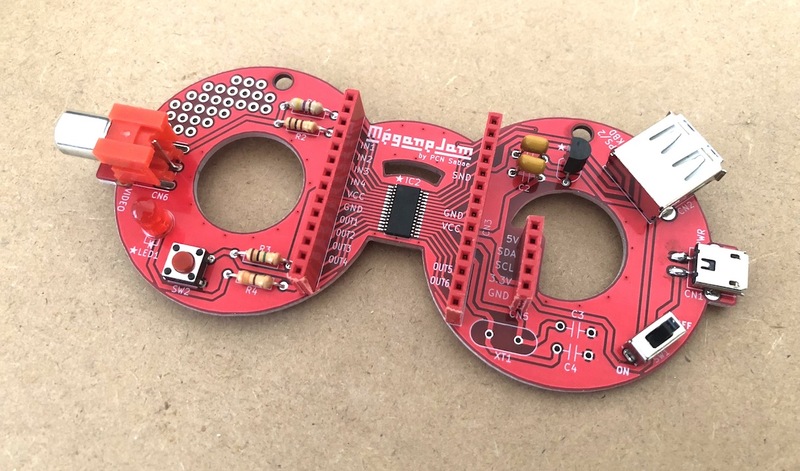 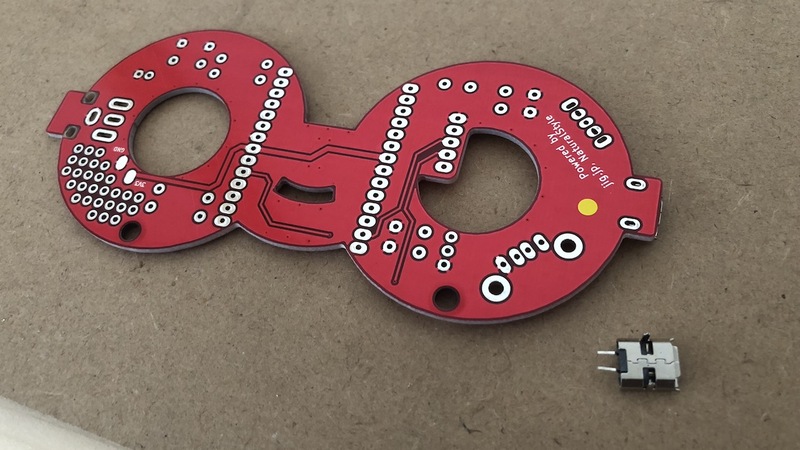 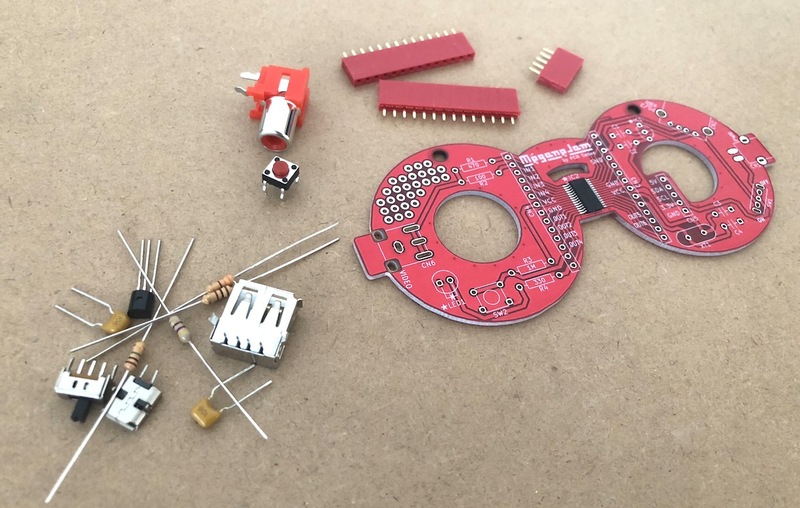 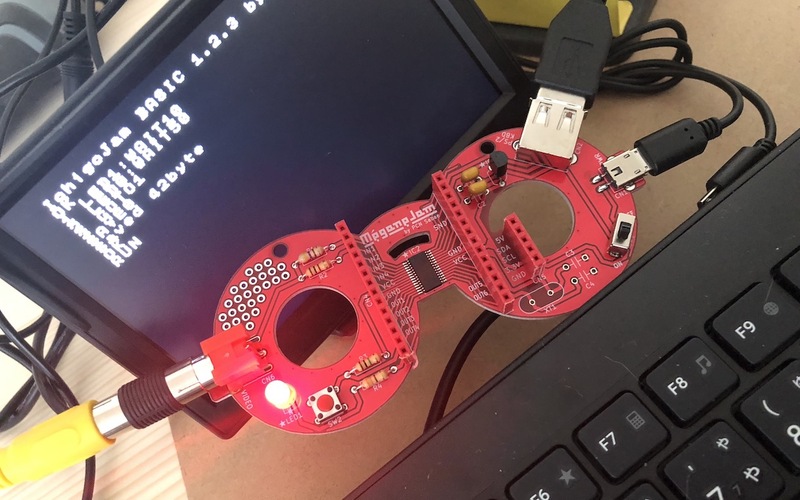 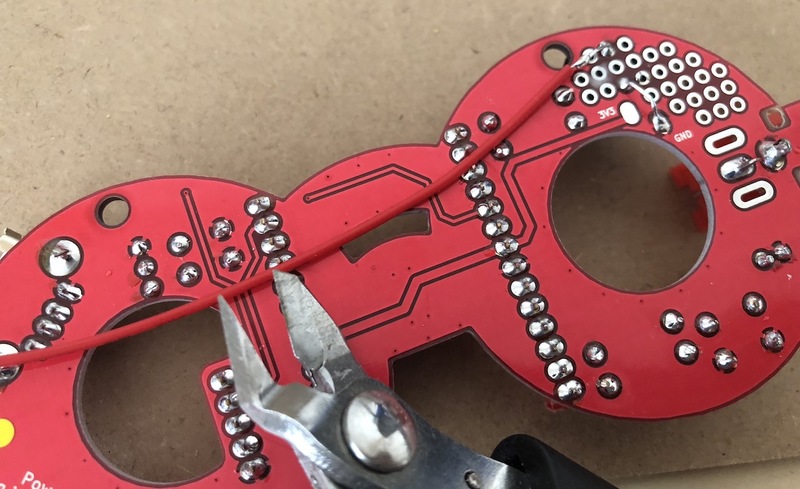 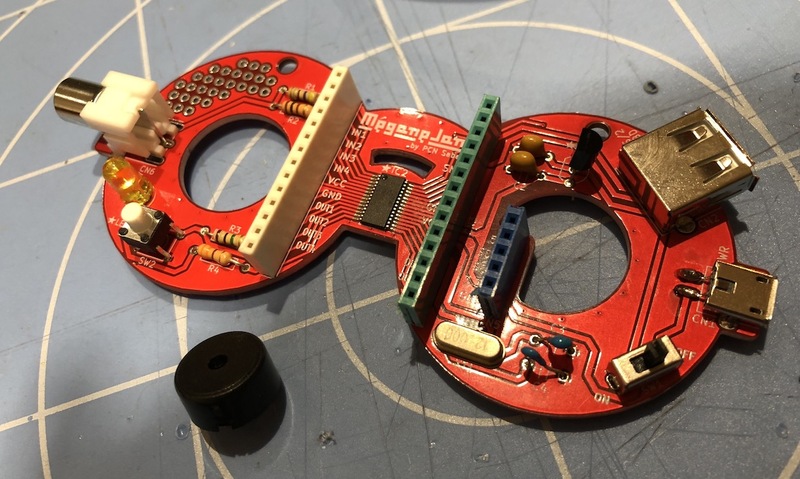 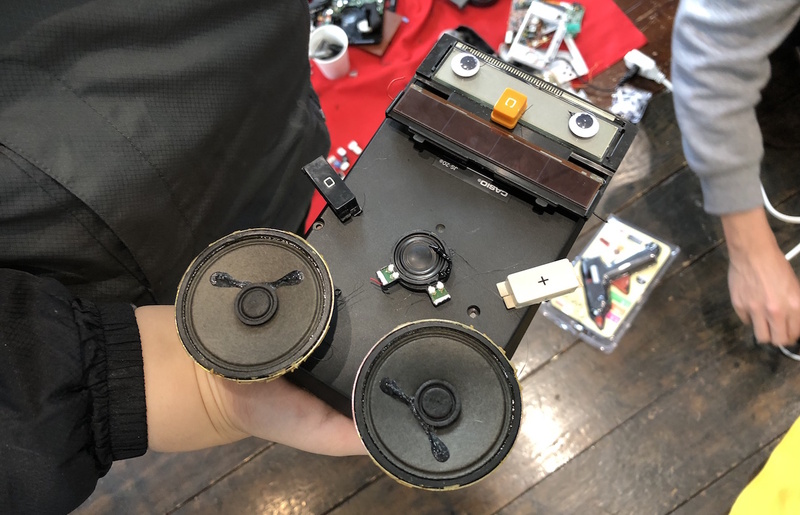 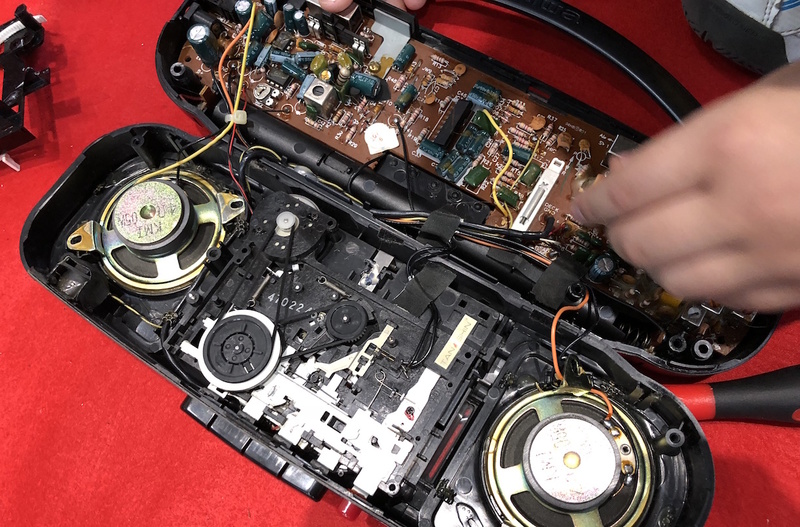 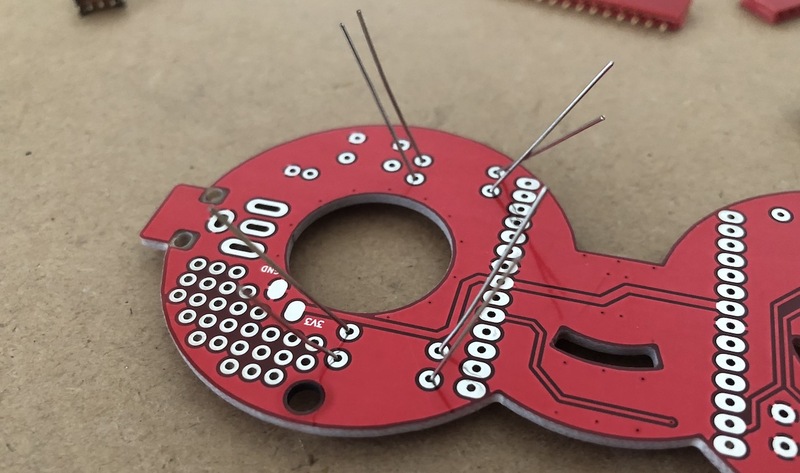 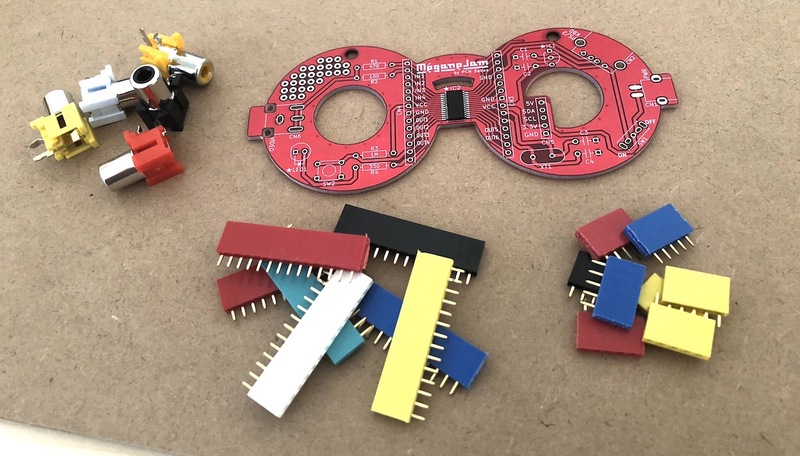 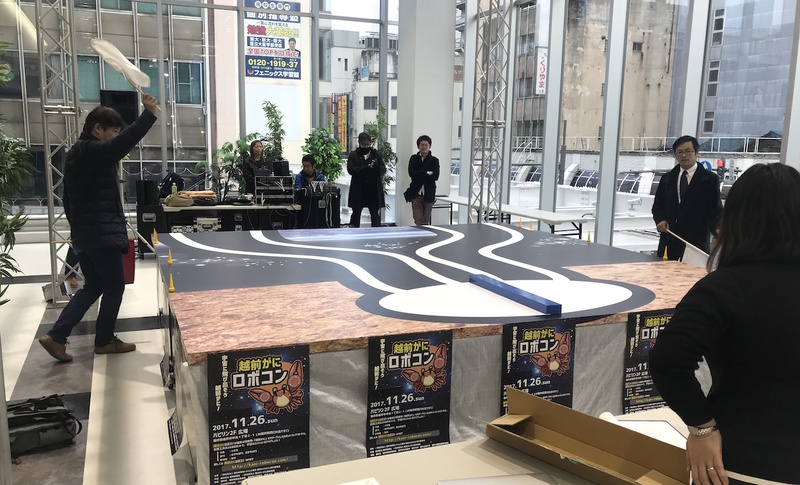 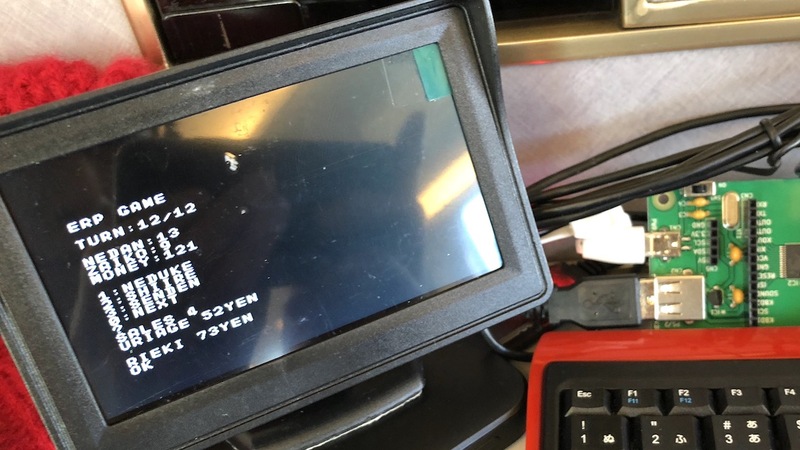 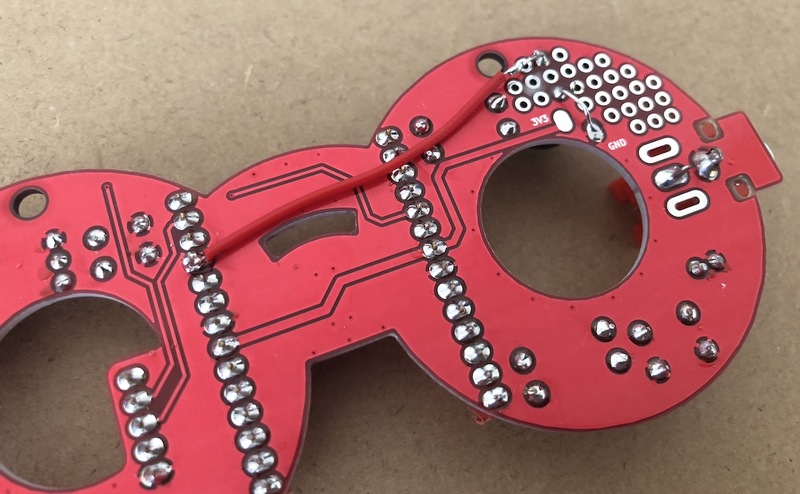 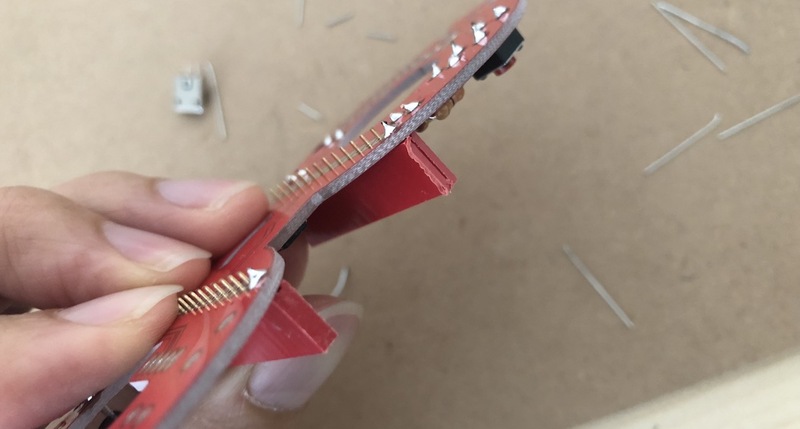 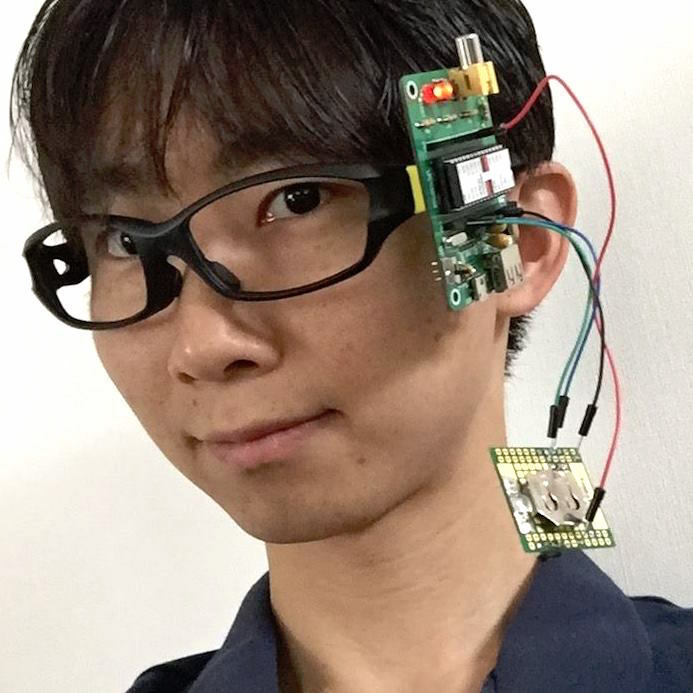 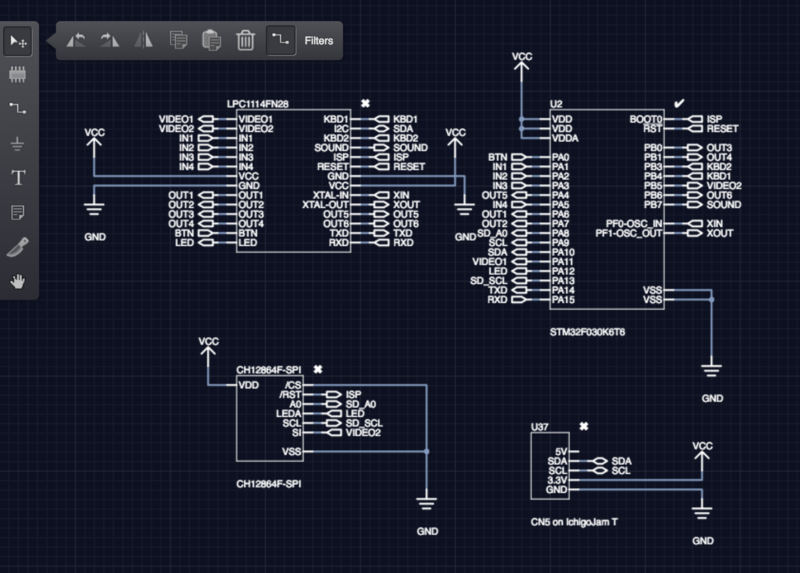 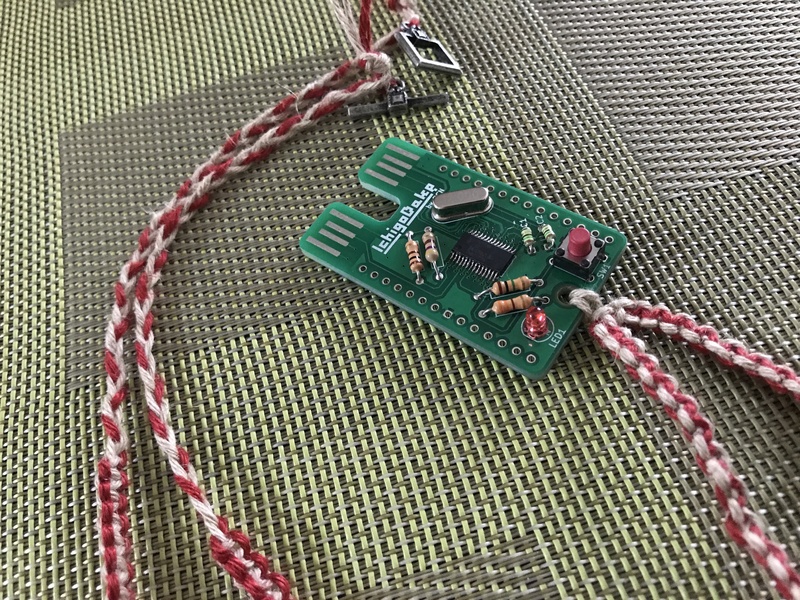 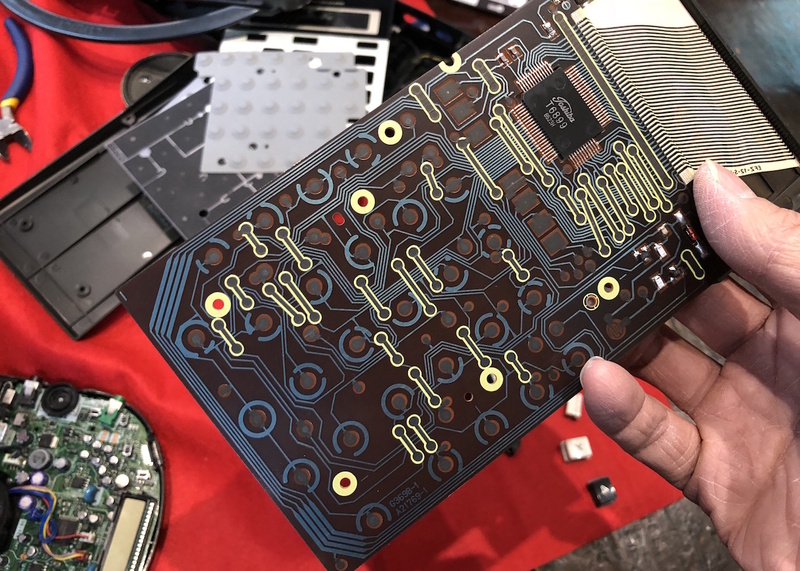 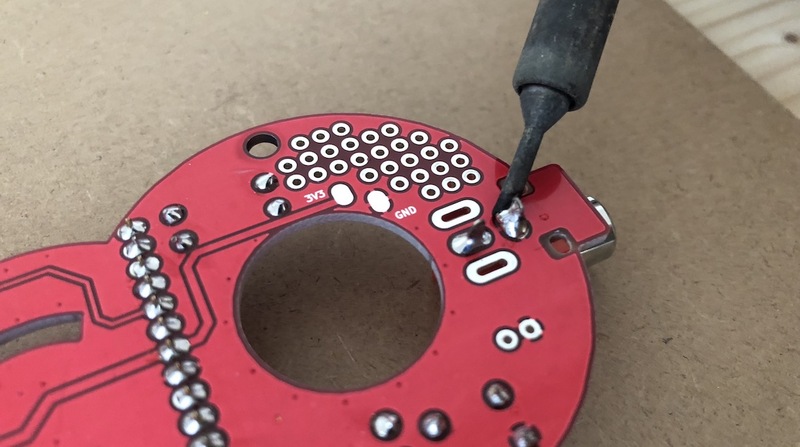 They try to connect a servo and FaBo to IchigoJam and manipulate them by the program. 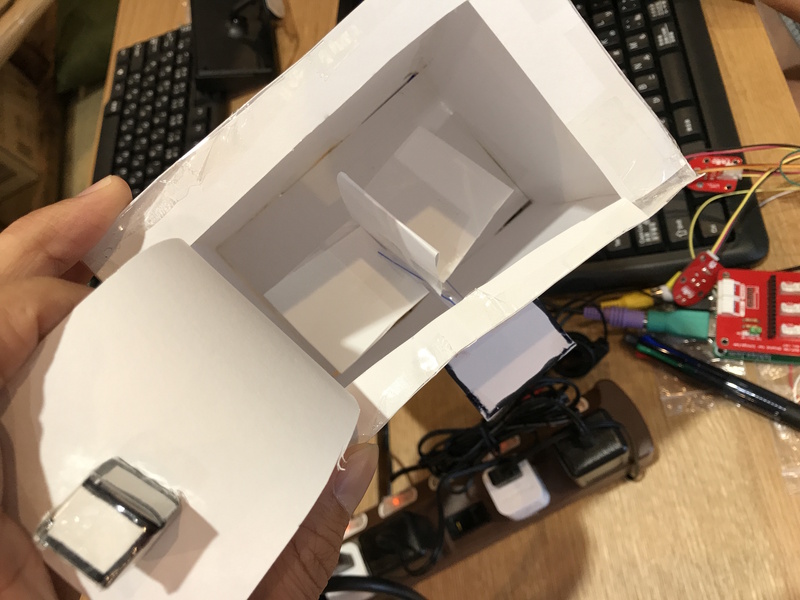 Paper prototyping is very rapid! 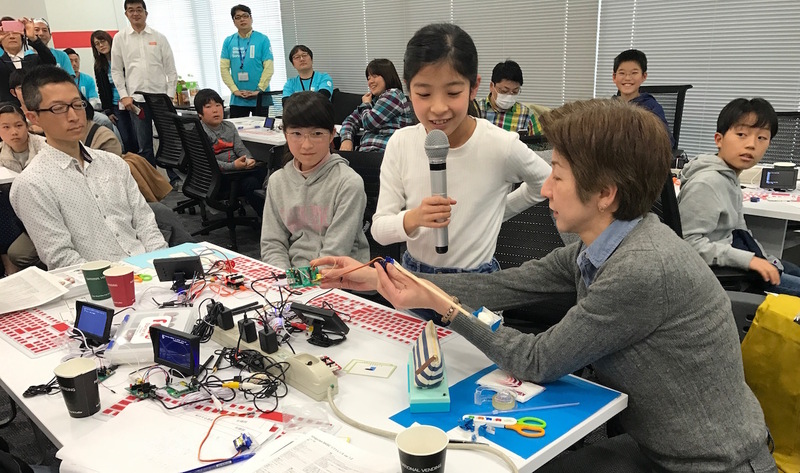 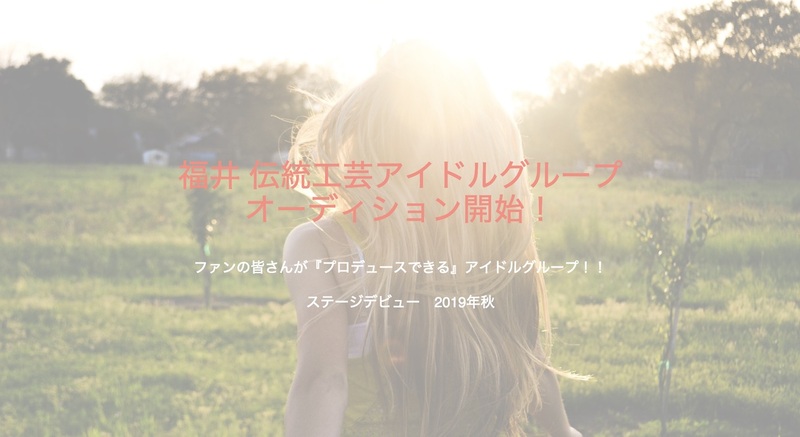 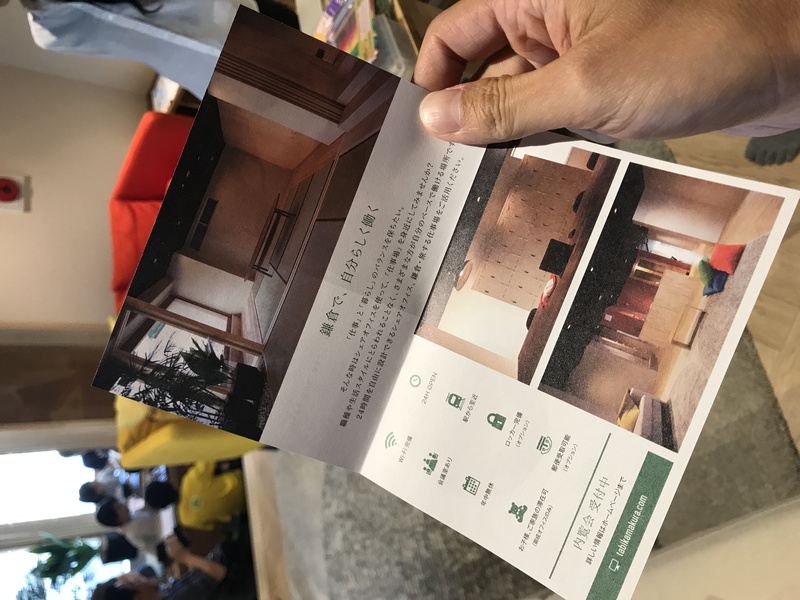 Sakura's IoT Platform(さくらのIoT Platform@ja → sakura.io) informs the returning her mother. 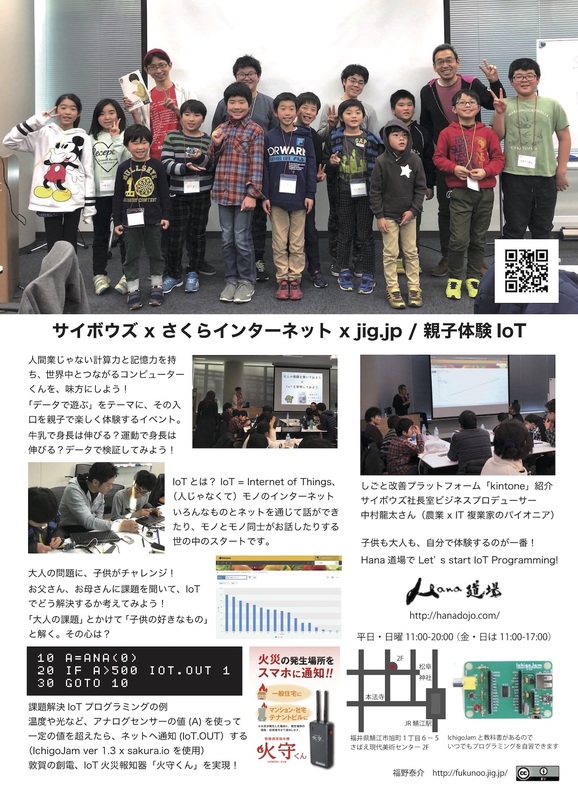 Great kid's presentations after just 1 hour making time! 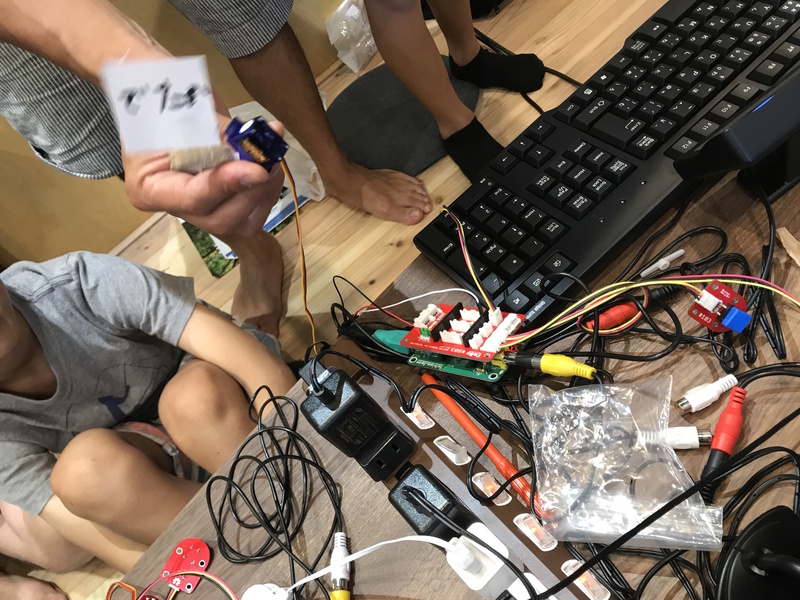 In the end, they reported this event to us. 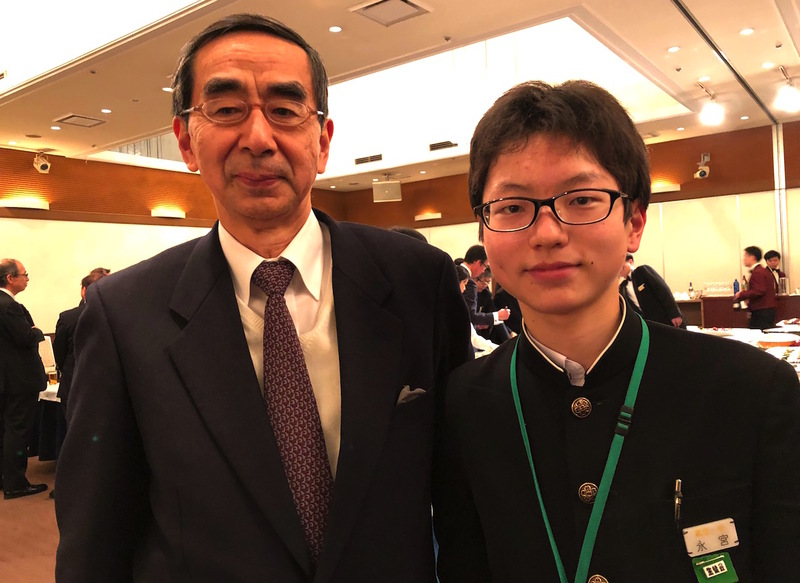 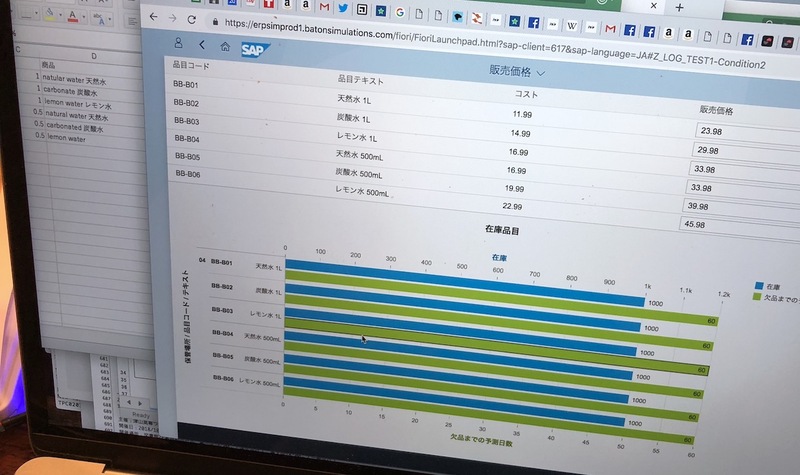 Good reports and 51 frustrating (IraIra = イライラ@ja) great source to the ideas and innovations. 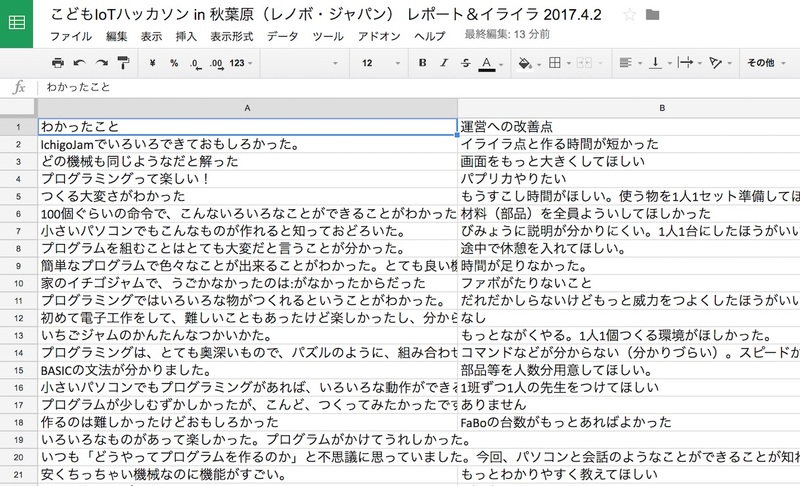 "こどもIoTハッカソン in 秋葉原（レノボ・ジャパン） イライラ＆レポート 2017.4.2"
Where is the next city!? 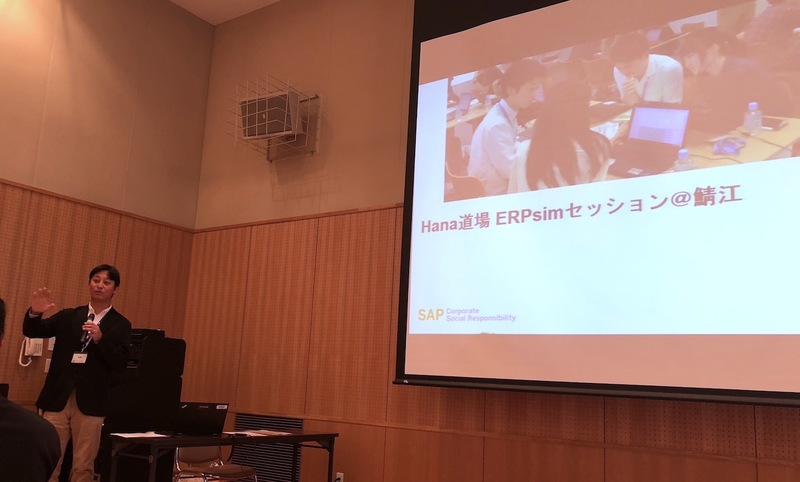 Today's my presentation for you.